I have some devastating news……. 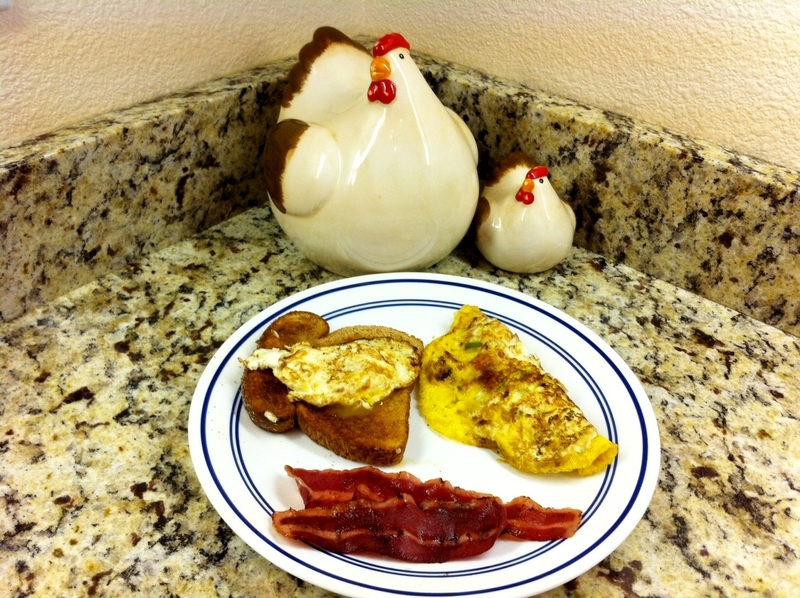 Last Sunday, I used the last of the eggs…..we are egg-less!! This is traaaaaaagiccccc!! 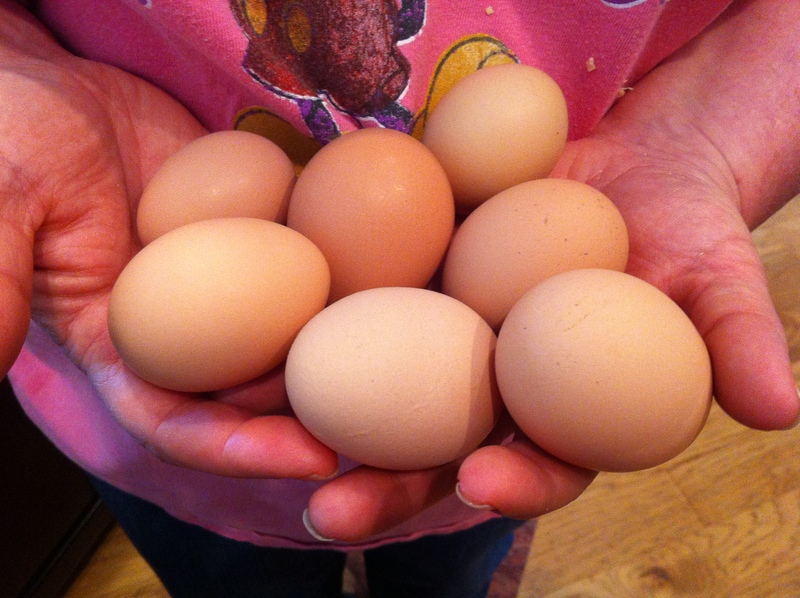 We have not been without eggs from our hens since they started laying four years ago. How did this happen?? 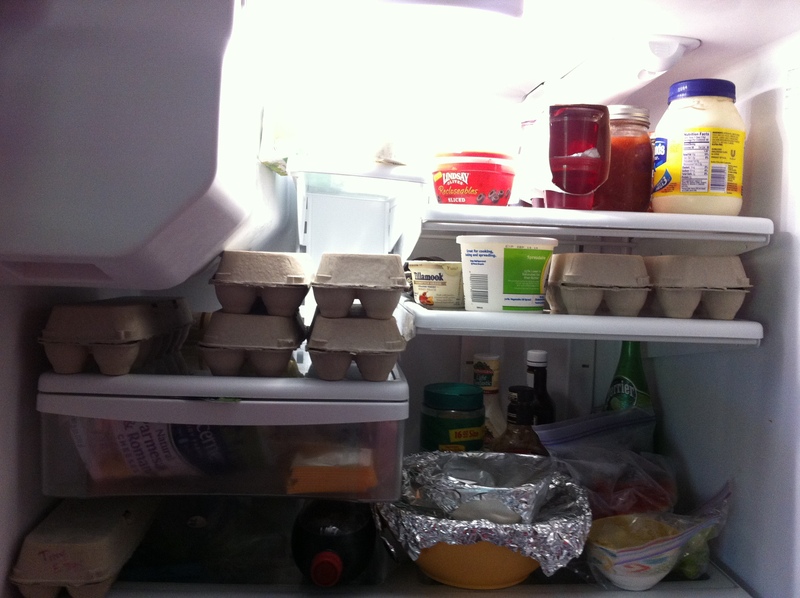 There are a number of factors working here that could possibly be affecting our lack of eggs…. the hours of daylight has decreased by about six hours from the height of our lighted hours. Conservatively, during the summer, we have light in the Pacific NW from 5:30 a.m. to 9:30 p.m. This time of year, light shines upon us from about 7:00 a.m. to 4:30 p.m (and that will shorten.) 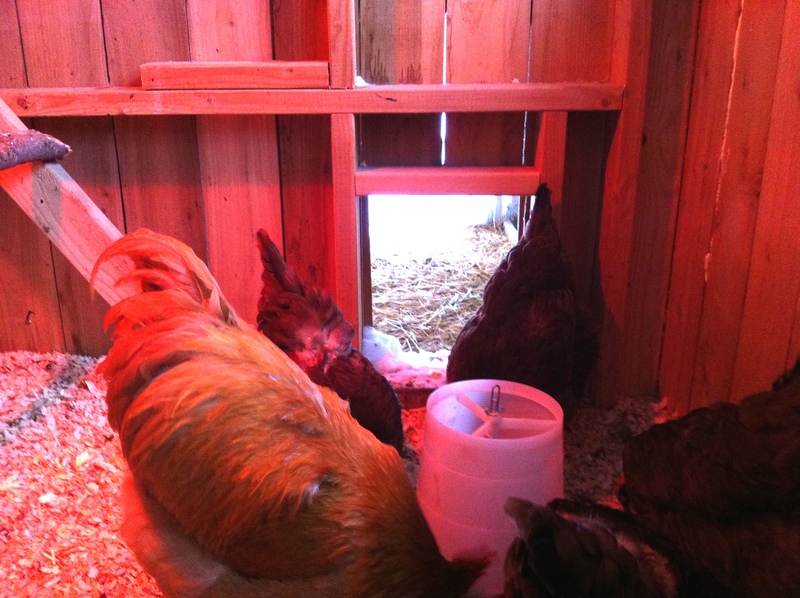 Light drastically affects egg production. the predator that attacked the hen house this summer, knows that the eggs are there and takes the opportunity to grab them when the hen’s door is open for the day?? they miss me!!! Hahahaha!! Since the puppy was born, I haven’t spent much time with them….Tony has taken over the hen house duties for a couple of months. The fact is, I have about 4 birds that are 2 yrs or younger. 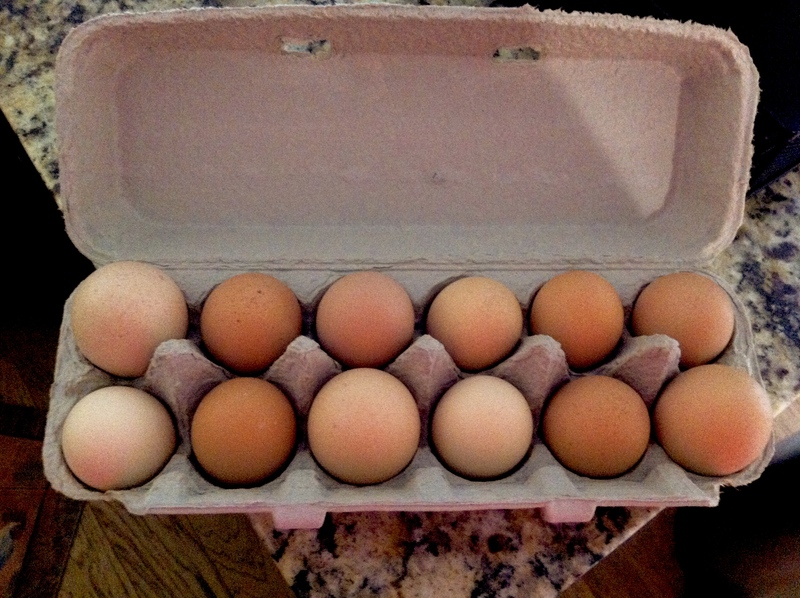 Even with the lack of light, I should be getting at least 1 or 2 eggs every other day….so, we have an egg mystery…. What dug this hole?? Is this a den?? I removed the shading, and then sharpened this photo to try and get the interior of the hole to show. 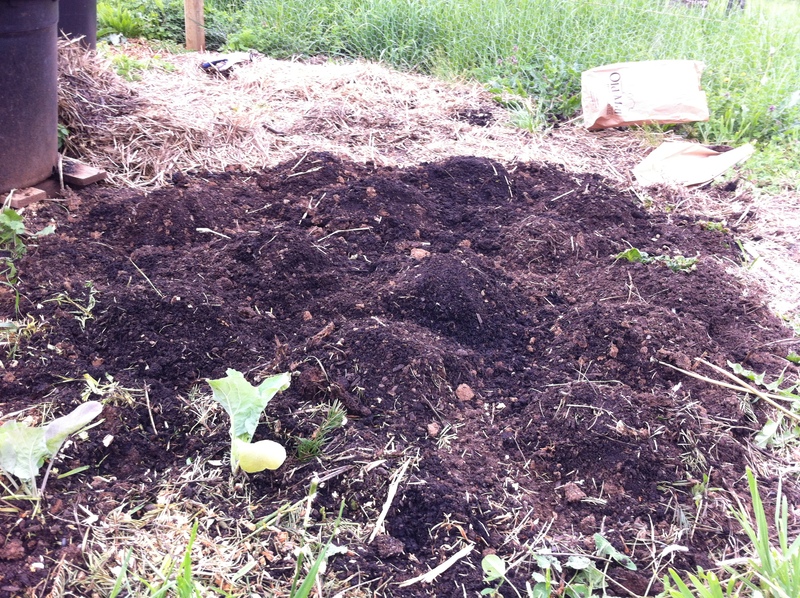 ….coupled with the mystery of this dug out hole!! What dug up this hornet’s nest?? Did they make a den out of this hole? We set up our field camera to see if something comes and goes from this hole….unfortunately, the camera is apparently malfunctioning because it took no pictures over the three days it was set up…it would have taken something, even movement from the wind, if it were working properly. Thank you for visiting the homestead today. I hope you have an amazing Sunday!! 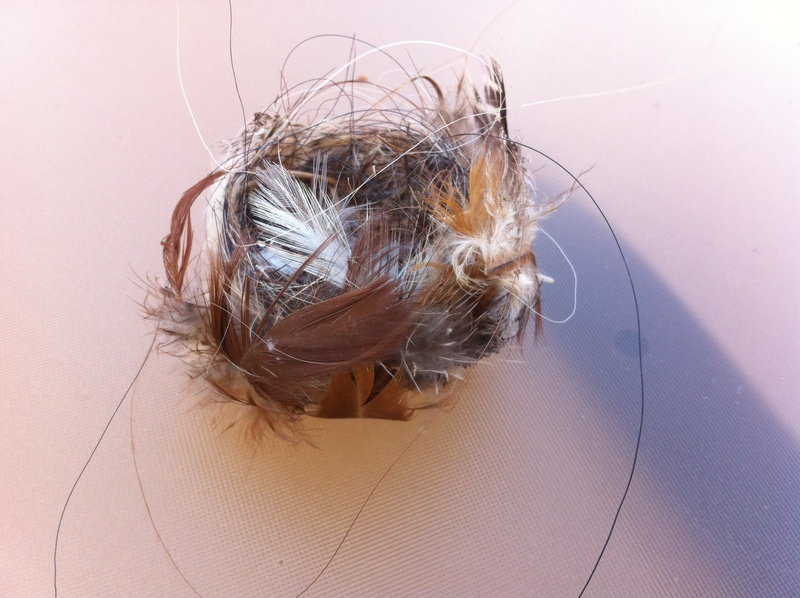 The objective…..use these materials (wire structure that they are lying on top of not included)….. 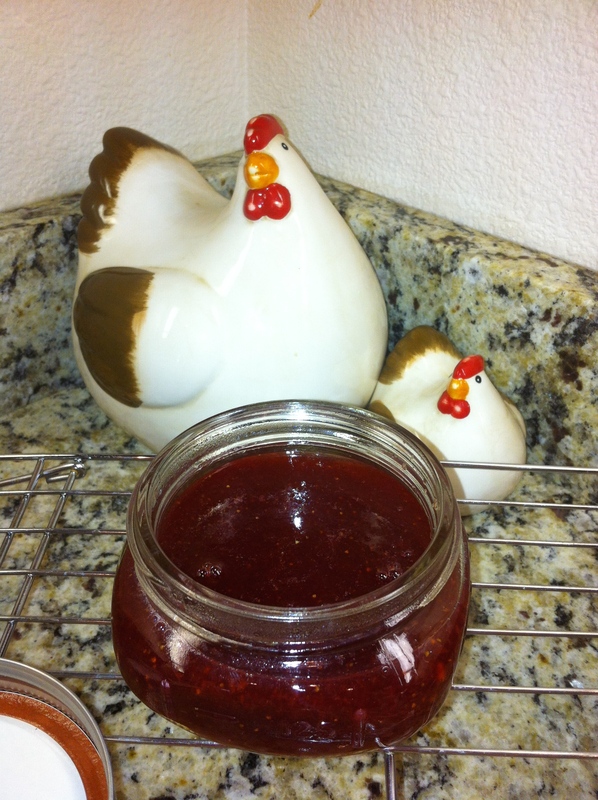 There really is a “love affair” that happens once you get hooked on free ranged, from Farm to Table chicken eggs. However, there is a question bringing me stress from time to time. 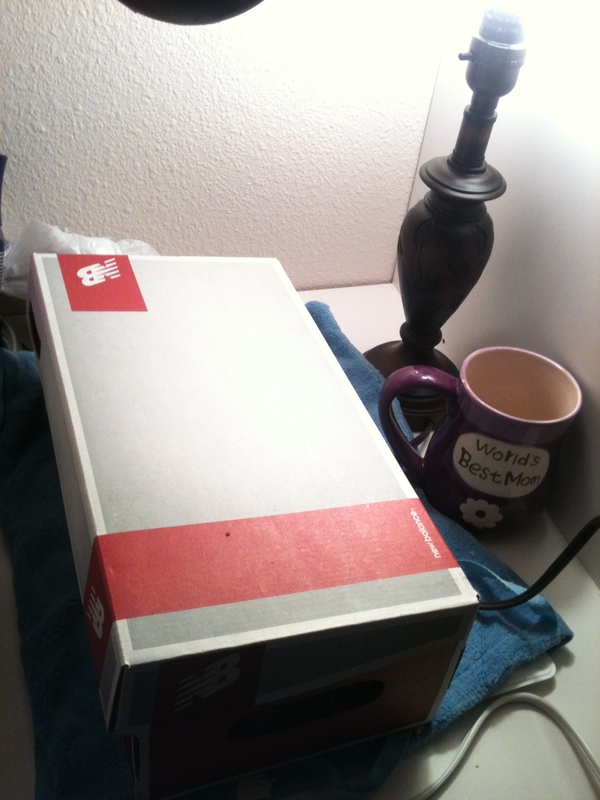 The dilemma of the day ….. “To wash or not to wash? ?” ……. I’m so confused!! 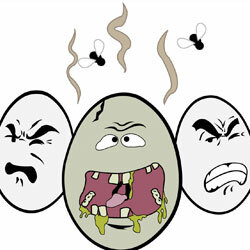 This question goes around and around…Much Ado About Eggs!! 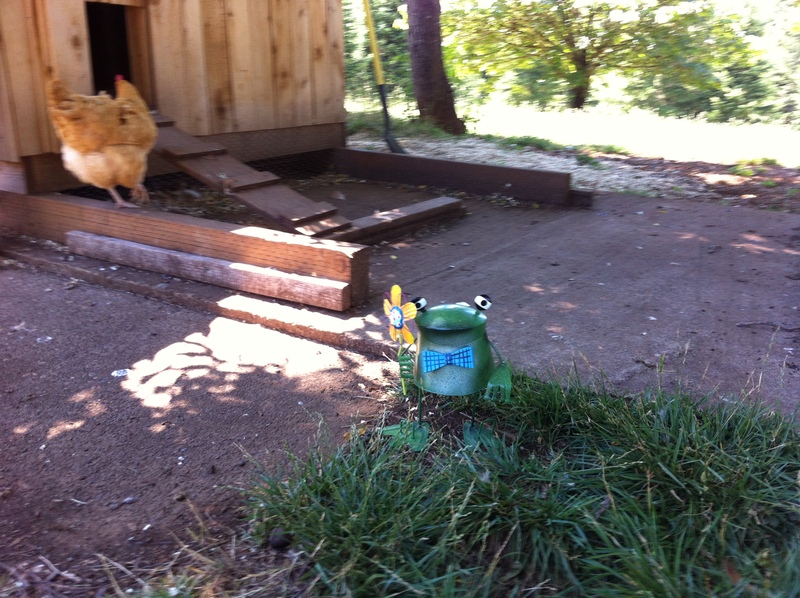 I was visiting a very seasoned rancher, and we got to talking about chicken eggs. At one point, he had over 100 hens from which he sold dozens, and dozens of eggs. I asked him if he sold the eggs straight from the bird, or if he washed them. He told me that he washed them…”Always wash them,” he said. He just used warm water, no stringent egg wash products. His point was that you just don’t want to take a chance….that you don’t know who is handling the eggs after they leave you, and if they will use good hygiene practices. GOOD POINT! GREAT POINT!! 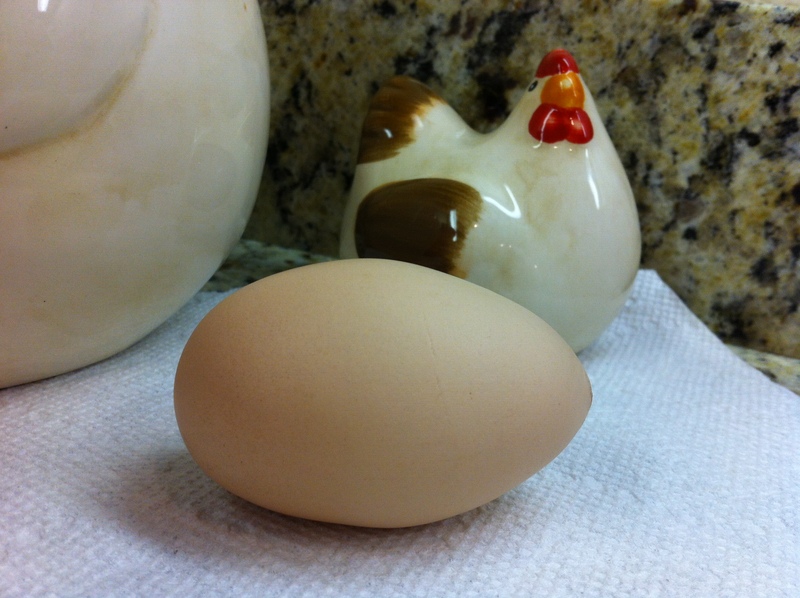 After talking with him, I was pretty sold on that idea…then I thought….. “I just don’t know.” That bloom that is on the egg from the hen is a great protector. It protects the developing chick inside the egg from harmful bacteria penetrating the shell….left undisturbed, it should do the same thing to eggs intended for the frying pan…right??? AND…it is actually ILLEGAL to sell washed eggs in the UK, and all of Europe!! http://www.forbes.com/sites/nadiaarumugam/2012/10/25/why-american-eggs-would-be-illegal-in-a-british-supermarket-and-vice-versa/ I think that says A LOT!! Well, the USDA is also on the side of the UK for eggs in shell unless you are a USDA egg handler producing graded eggs sold in grocery stores (large egg producer with caged birds)….. “Should you wash eggs? No. It’s not necessary or recommended for consumers to wash eggs and may actually increase the risk of contamination because the wash water can be “sucked” into the egg through the pores in the shell When the chicken lays the egg, a protective coating is put on the outside by the hen. Government regulations require that USDA-graded eggs be carefully washed and sanitized using only compounds meeting FDA regulations for processing foods.” http://www.fsis.usda.gov/wps/portal/fsis/topics/food-safety-education/get-answers/food-safety-fact-sheets/egg-products-preparation/shell-eggs-from-farm-to-table/ Basically, if the water is too cold, you run the risk of bacteria permeating the shell……. So, it seems to be one of those “Damned if you do….Damned if you don’t” kind of situations. Since there are no rules I can find regulating the washing or not washing of eggs in Oregon ( I have looked far and wide for regulations on this), I think I will leave this up to my individual customers. And yes, washed eggs are going to have to cost more since they are more labor intensive. It’s not like I have a lot of customers………right now! I guess a call for clarification to my county’s extension office is next on the list for the coming week. I want to be in compliance with my county / state’s requirements. How do I manage eggs that I personally use, or sell?? 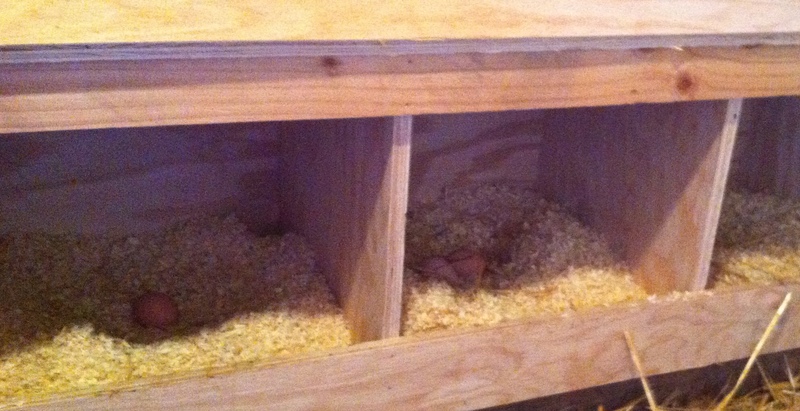 I keep my nesting boxes clean…very clean with new pine shavings every few days, or if there is any soiling or broken eggs on any given day. 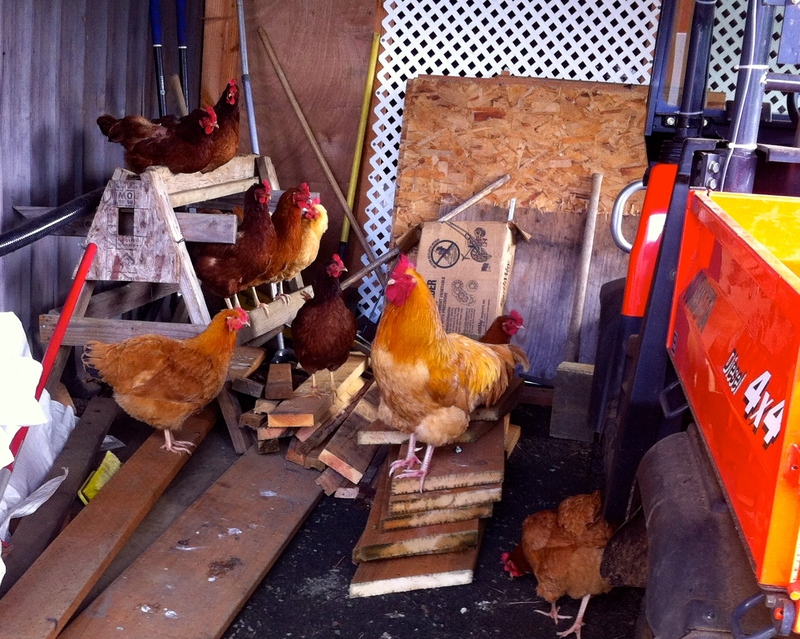 The hens / rooster are outside the hen house all day…unless laying eggs. 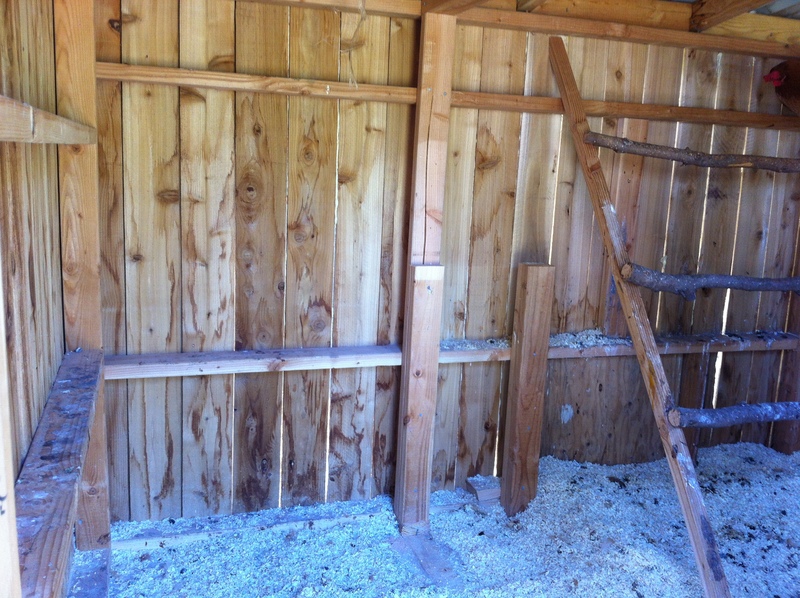 Their roost, where 99% of the poop falls, is 5 feet or so away from the nesting boxes…so things stay pretty tidy. That being said, if there are smudges, soiling, or dried products from a broken egg on any of my eggs, they go to the dogs….literally. Depending on the weather….literally, rain or no rain, determines how many treats the dogs enjoy. So, the eggs I eat, sell, and give away are visibly clean. I, personally, wash my eggs in warm water right before using….and tell others to do the same (with the exception of a couple of friends this past week going by the advice of the farmer …. 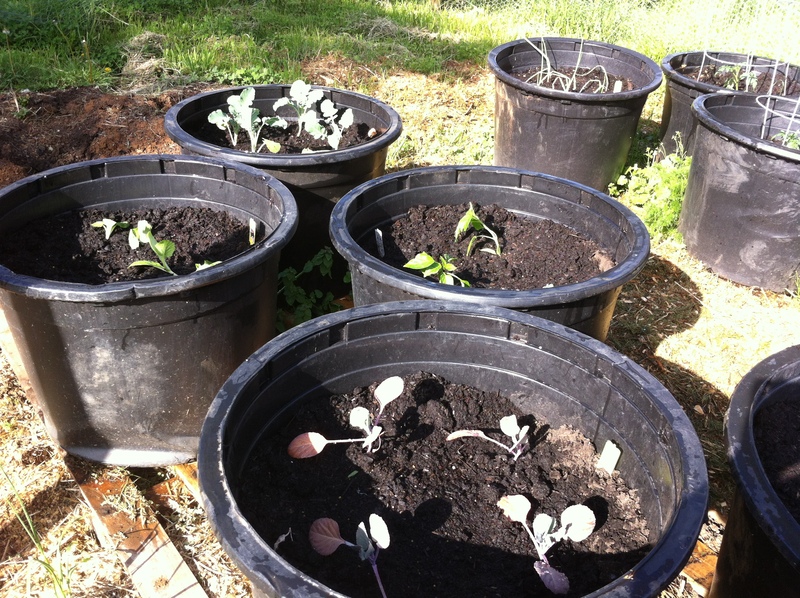 which I still think is good advice…..) According to the USDA….maybe we don’t even have to do that….not sure. The learning process continues…..always!!! Thanks for spending part of your Sunday with us here on the farm!! I hope your day is wonderful!! 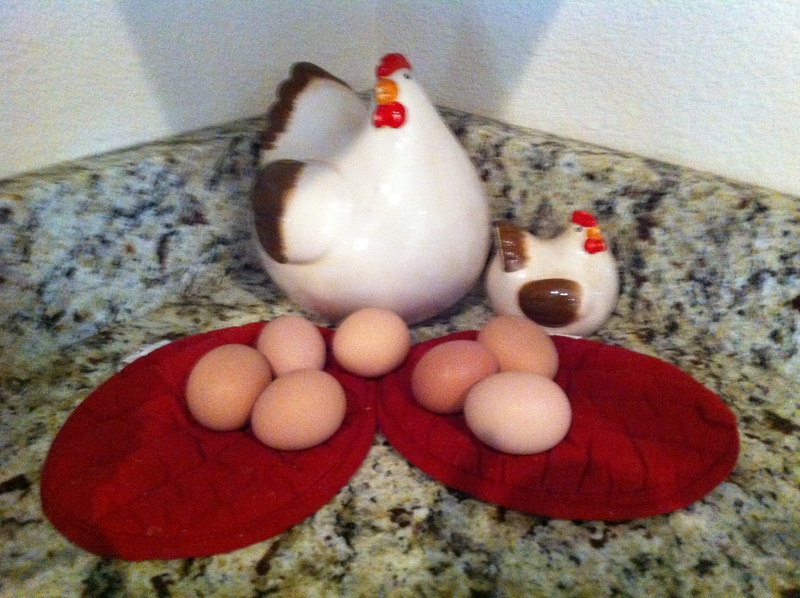 Chicken eggs…keep me thoroughly entertained. Really! There is a kind of, “Treasure Hunt,” satisfaction that happens every time I go out to collect them. I never really know what I’m going to find….well…I don’t usually expect to find dinosaur eggs or anything like that, but I’m always hoping to come upon that golden egg…..wait….that was Aesop’s goose. 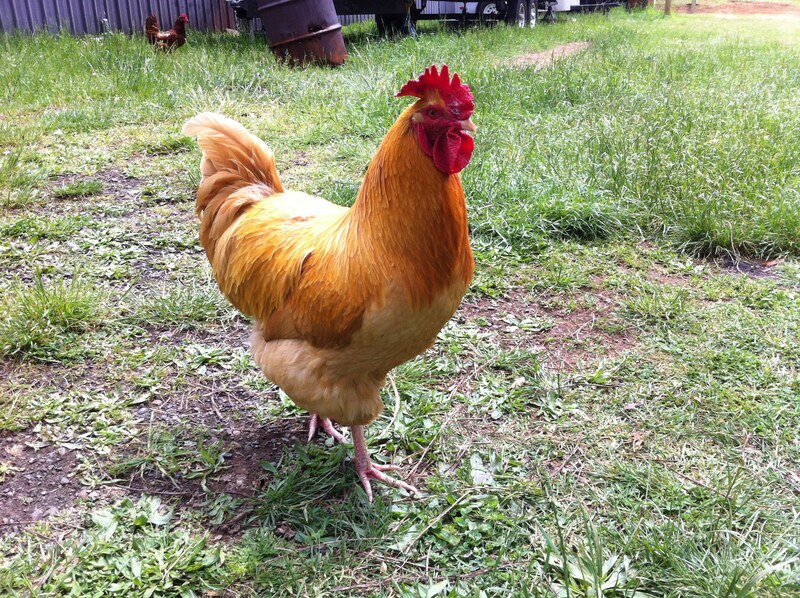 However, in Laos, there is a similar fable with a hen being the giver of the golden egg….it could happen!!! 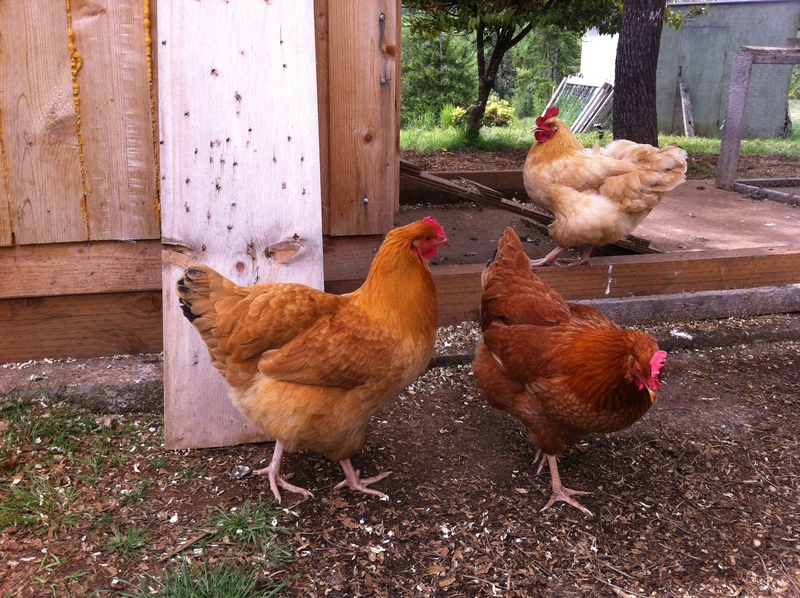 Our very first hens, remember them…the Untouchables (meaning, these hens and our rooster, Benedict, will never visit the stew pot…they are the Untoucables)…started laying eggs about a year and a half ago. This was my very first experience with eggs not bought in a grocery store. At first I thought, “Uuuhhmmm…..EEEWWWW!” They looked different than store bought eggs….they weren’t…..perfectly sized and formed. The shells had blemishes….this couldn’t be okay….could it? 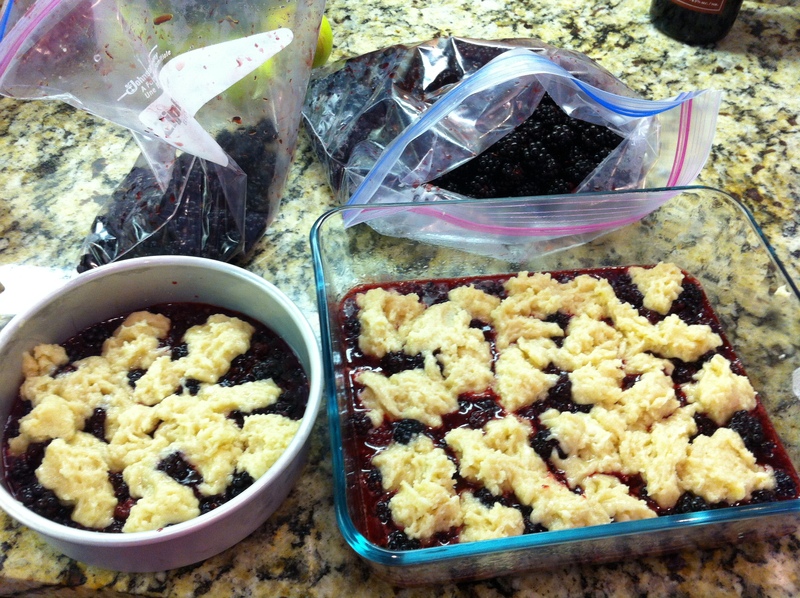 Well, I quickly learned that they are very much OKAY….and delicious!!! 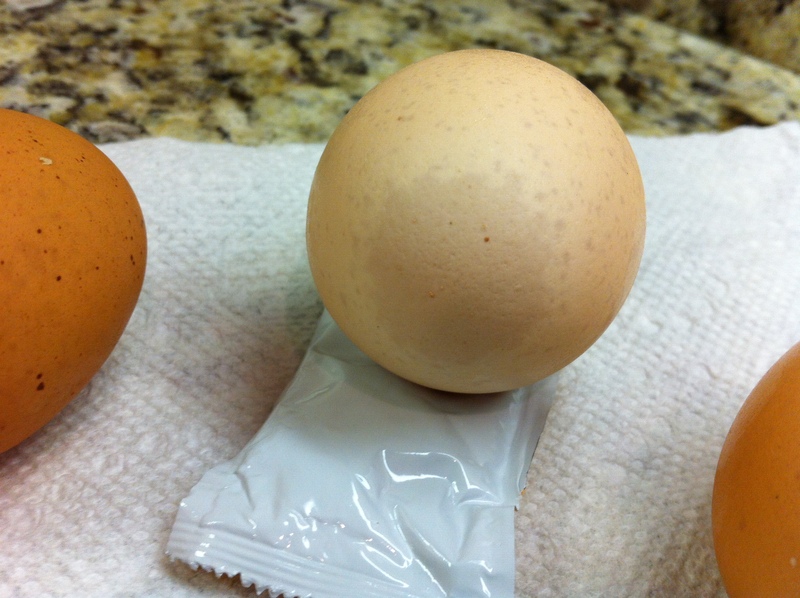 Here is a sampling of how free range chicken eggs can differ one from another…..
….pay no attention to the ketchup packets….hahaha…they provided structural support 🙂 As you can tell, I have all brown egg layers. The difference in shading is quite remarkable. 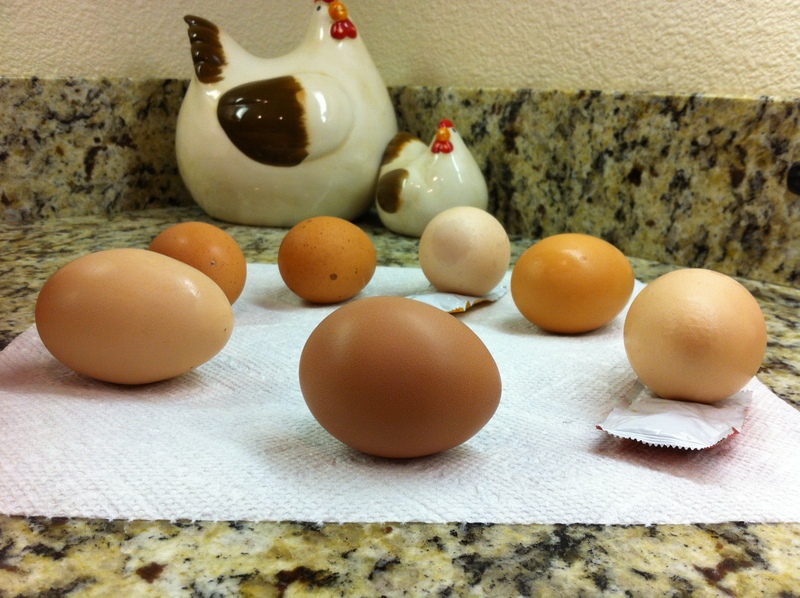 I wonder what determines the shading from hen to hen or egg to egg….hhmmmm…..lots of things I suppose. Home-grown, free range eggs come out spotty with deposits of pigment dotting the beautifully browned shell. 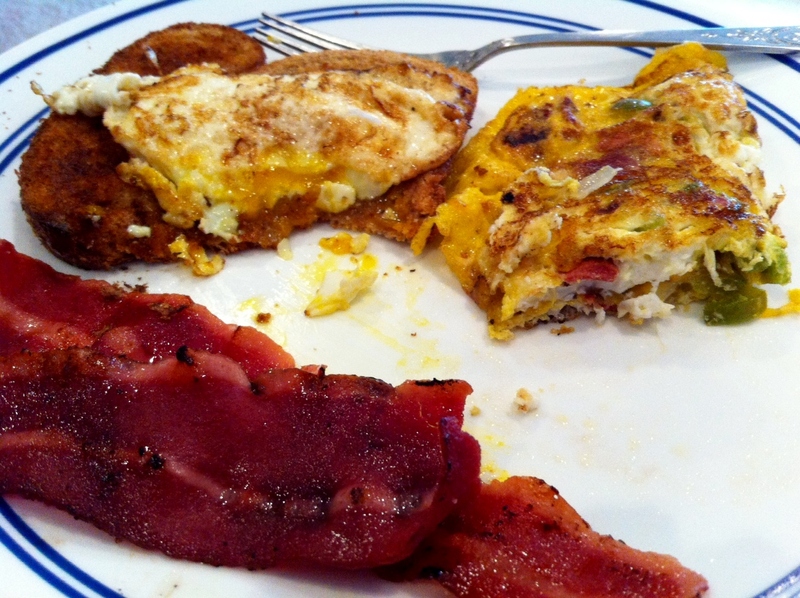 Notice the little warty thing on the egg to the left….those happen too. I imagine those are little extra deposits of calcium. It’s all good!! Sometimes, the spots look like someone spattered white paint all over them. Is this splotching pigmentation deposits, as well?? I don’t know…but it is common, and does not affect the integrity of the egg. 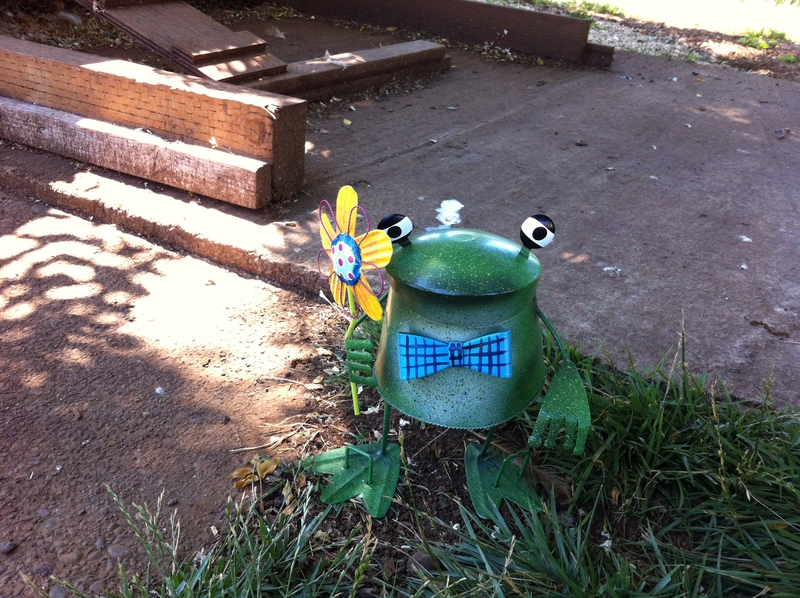 I will admit, the first eggs that I discovered with this kind of….decorative coloring…were discarded. 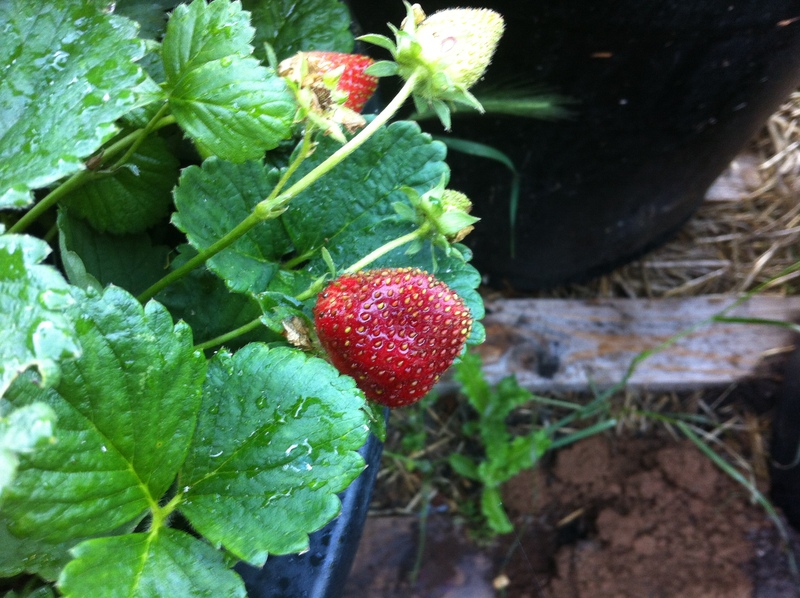 I just didn’t like them….I soon learned that the goodness inside was beautiful, perfectly formed, and perfectly healthy. 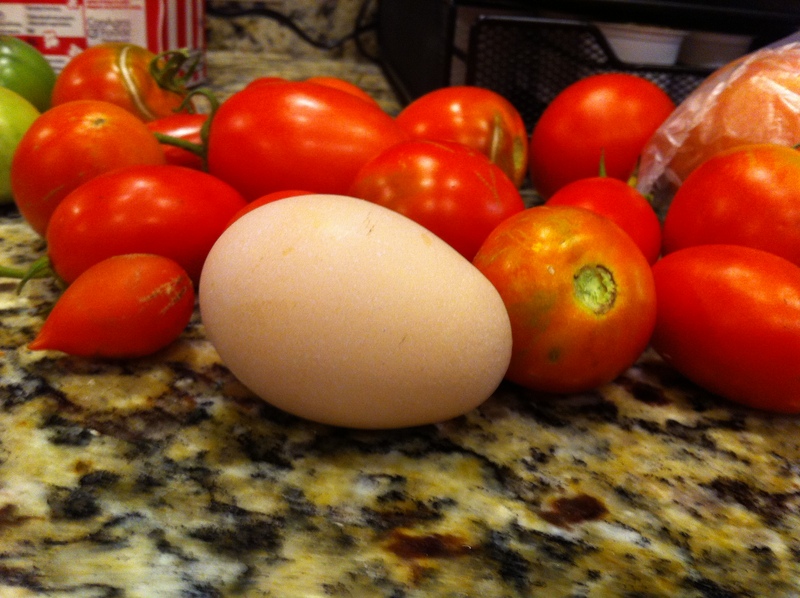 Some of my hens have a great sense of humor…..they lay torpedo eggs!! 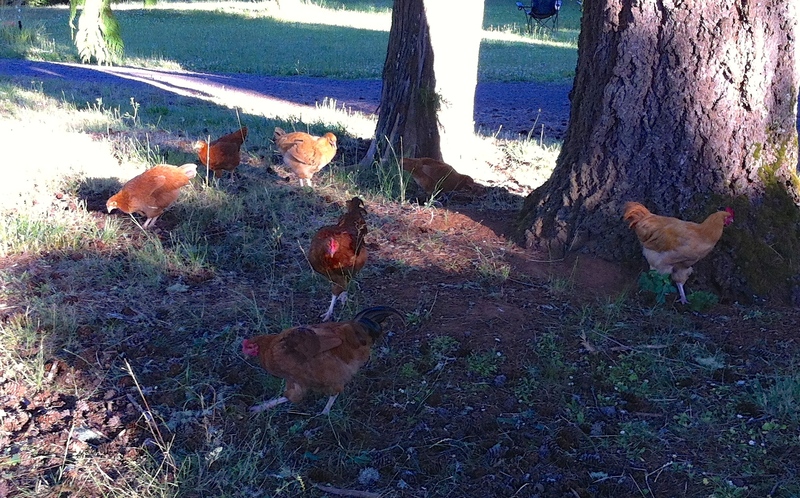 Seriously, I think I have one hen in particular…not sure which one….that lays these extra extra large, elongated eggs. I feel bad for this hen as laying these eggs must be quite the feat!! 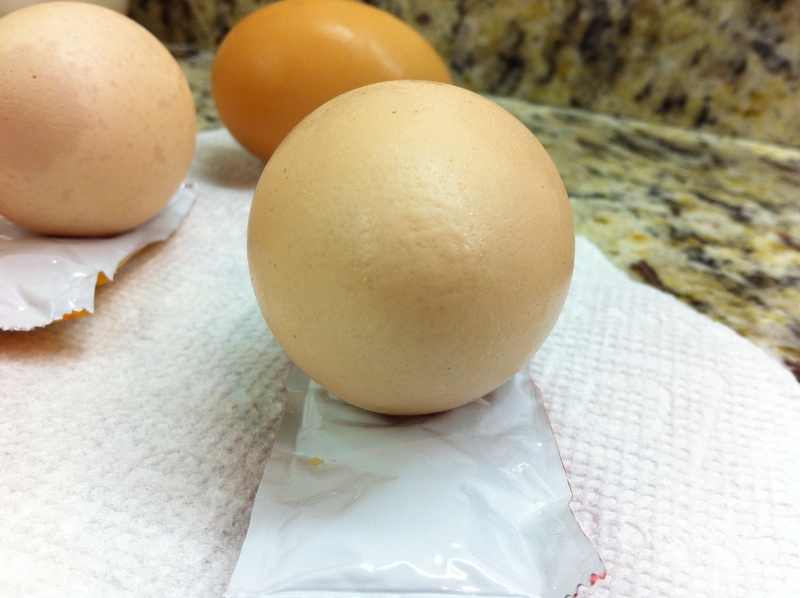 Many times these eggs are more fragile…..
…and their smaller ends come out a bit wrinkled…sometimes cracked. The torpedo egg below…. ….is an example of the cracking that can occur. Only the outer shell is cracked, but the integrity of the egg has been compromised. This egg either goes into the compost pile, or directly to our Great Dane, Penni. 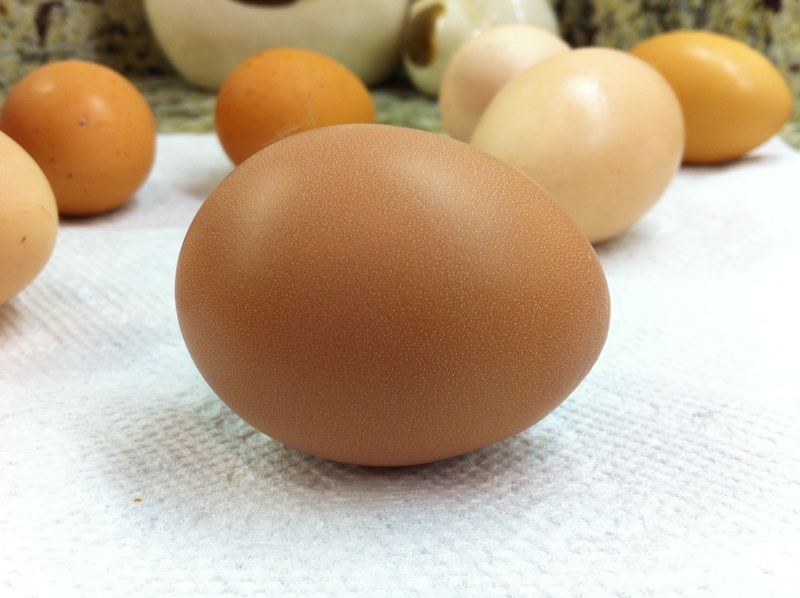 Of course, my hens lay perfect eggs…why not…they, themselves, are incredibly perfect!! Doesn’t that egg look entirely delicious!! The goodness inside is like no other egg you’ve ever tasted, unless of course, you have the privilege of raising, or buying true, free range eggs yourself. I can’t even order egg dishes in restaurants any more (with the exception of eggs benedict.) My hens have completely spoiled me! Just look at the depth of color that yoke has!! It is fully of an amazing amount of omega-3s…truly, very healthy!! 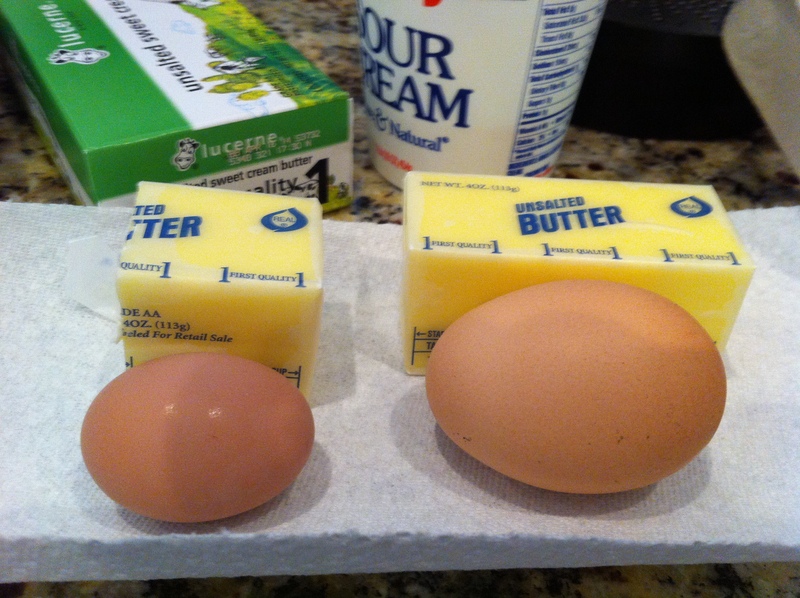 One thing you may notice is how the yolk kind of separated from the white in this picture. Many times, this is what happens when you cook eggs that are same-day fresh. 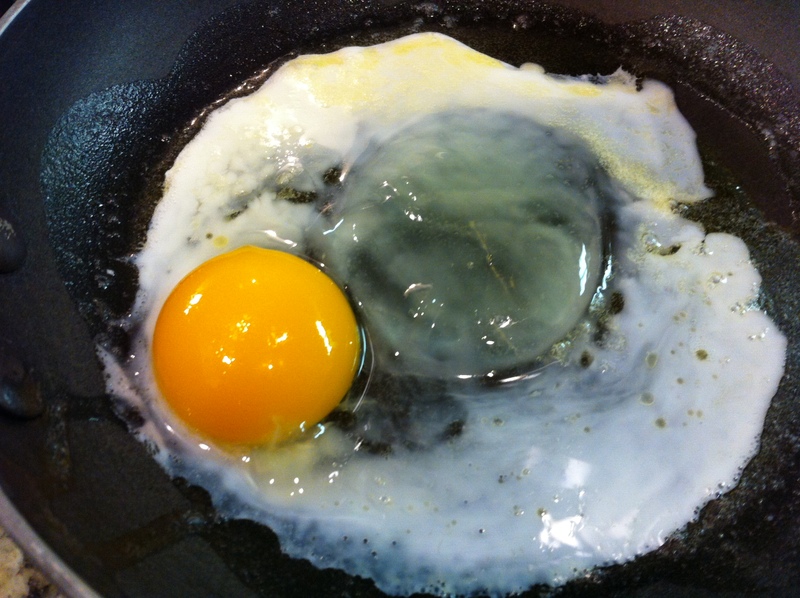 It does make it easier for the yolk to break if you are trying to fry it. Making a tiny omelette with two tiny eggs. I usually have a supply in the fridge, and am generally cooking up week old eggs rather than same day. 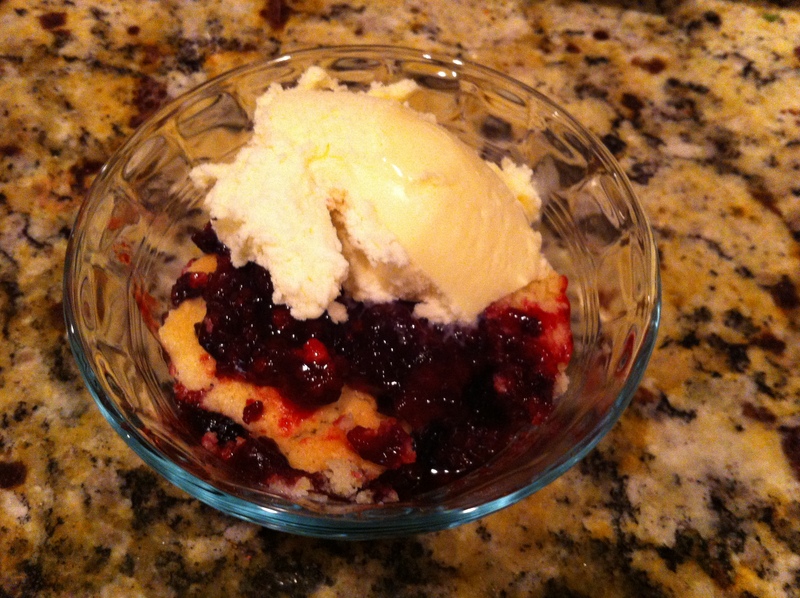 It does make a difference in the integrity, especially if you’re going for that “flip” when creating over-easy yumminess. 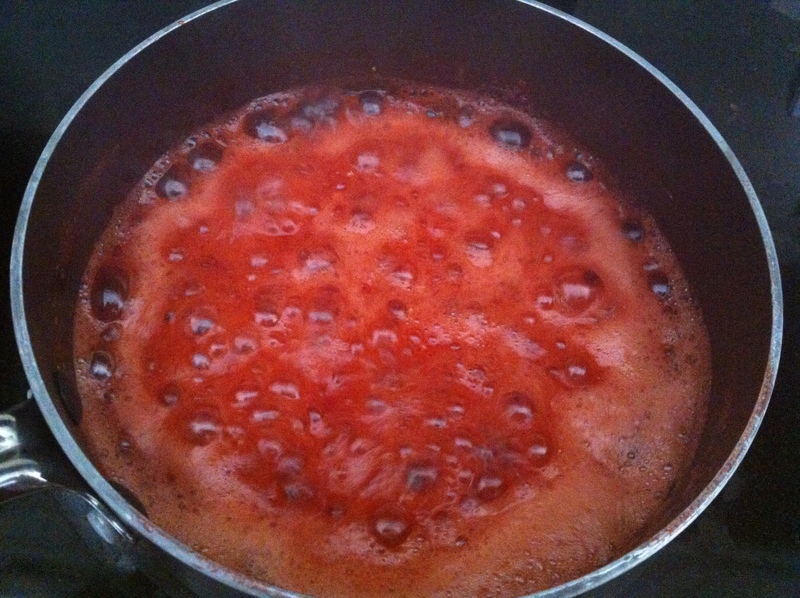 I keep a carton of about 2 week old eggs for hard boiling, as the shell won’t stick as much to the white when pealed. HHHmmmm….makes you think, doesn’t it….how old are the eggs we buy at the grocer….I never had a problem with shell to egg-white sticking in hard boiled eggs when I was buying them…..HHHmmmmm!! 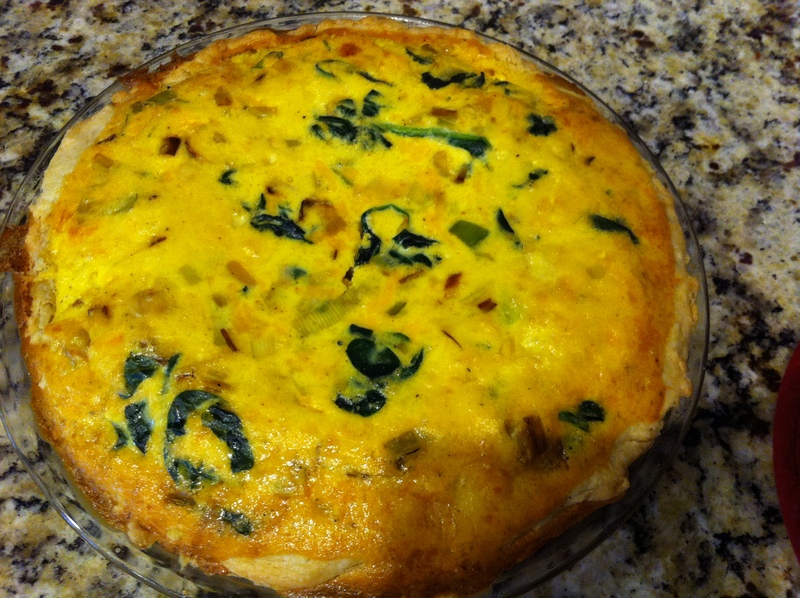 How about that lovely beauty….my first quiche!! 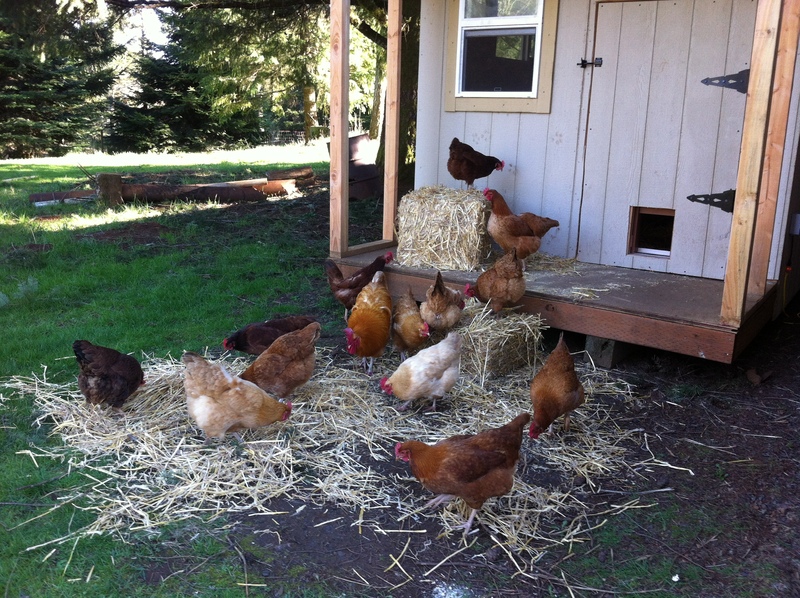 I think it’s easy to say that my hens’ free ranging, farm fresh eggs are the star of the show around here. If you’ve never indulged in a golden delight raised by one of your local small chicken farms…do yourself a favor and get a dozen…. ….I think you’ll be hooked….so be prepared, there’s no going back!! Thanks for visiting the farm today! I hope you have a wonderful Sunday. 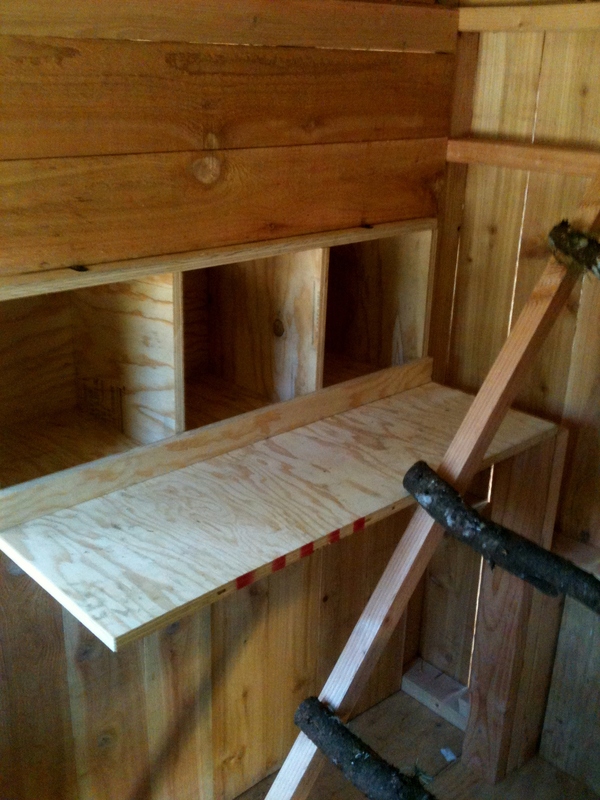 Six nesting boxes….this one was the hot spot today!! ….that was all from one morning. 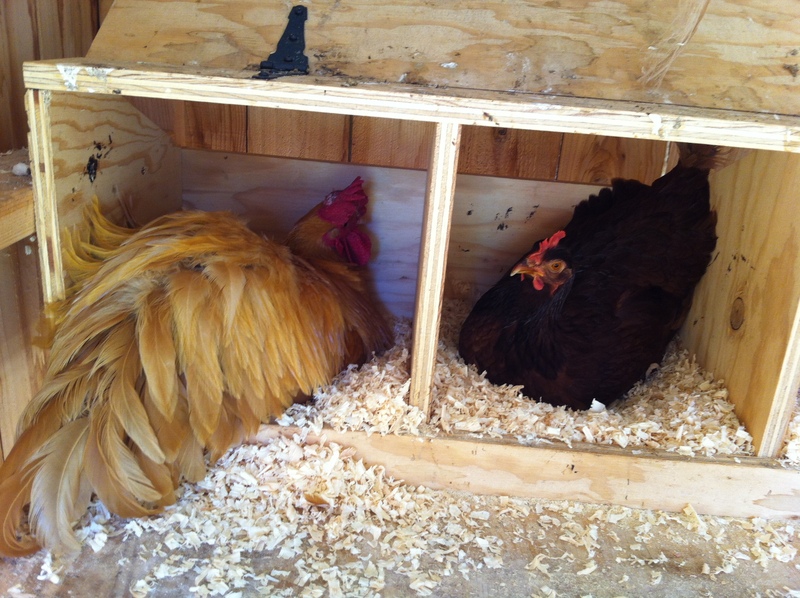 Where is the artistry in a nesting box full of eggs? 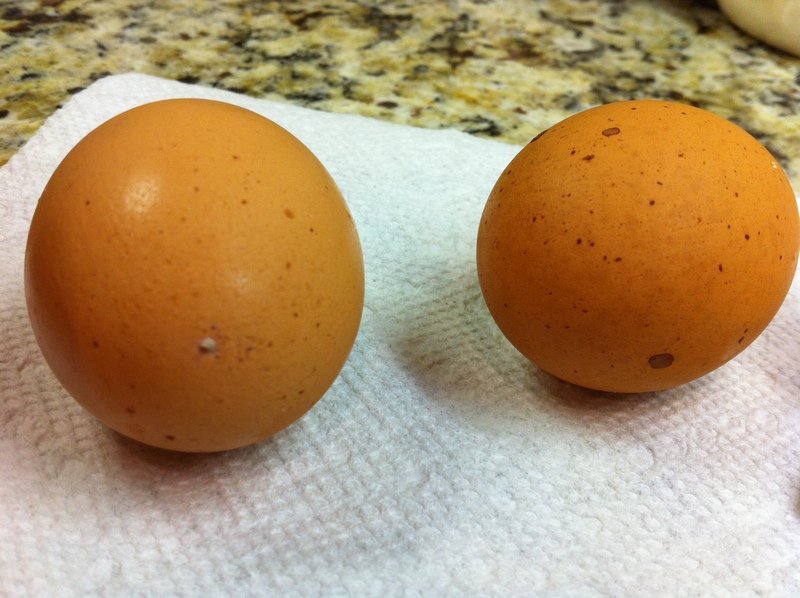 If you look closely, each egg is very different…size, shape, color, decorative “freckles”…they are each very unique…. That being said, I think the true artists reveal themselves every spring with the creation of an incredible piece of workmanship. The structure is amazing, and the question that usually arises in me every time I, happily, encounter one of these delicate yet strong, masterpieces of construction is …. “How did the bird build this without the use of hands?” You will not believe the incredibly gorgeous piece of true art that I am so blessed to have come upon while hiking with my Great Dane, Penni. 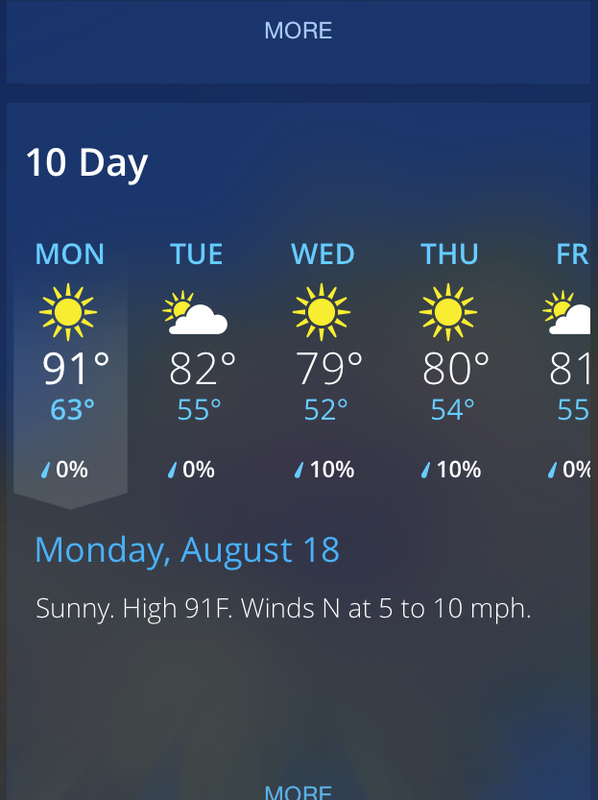 It must have blown out from the trees this past week…. are you ready…..
Look at this closely…imagine the time it took to build. The supplies used were ingenious…feathers from the chickens supply softness, hair from the mane or tail of our neighbor’s horses provide structure, and a little peacock feather for a splash of color….completely, insanely gorgeous!!! I feel like it is truly a privilege to have found this little beauty, and I’m so happy to be able to share it with you!! Thank you for taking a walk with me this morning, I hope this little gem of the forest will help to make your day just a bit more special. WELCOME SPRING!! You’ve been asleep too long!! 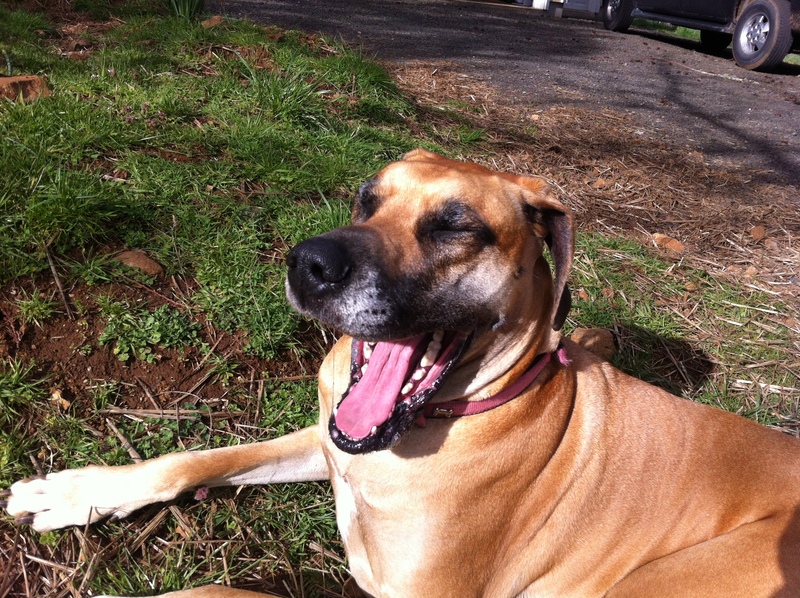 Penni relaxing in the warm 58 degree sunshine! 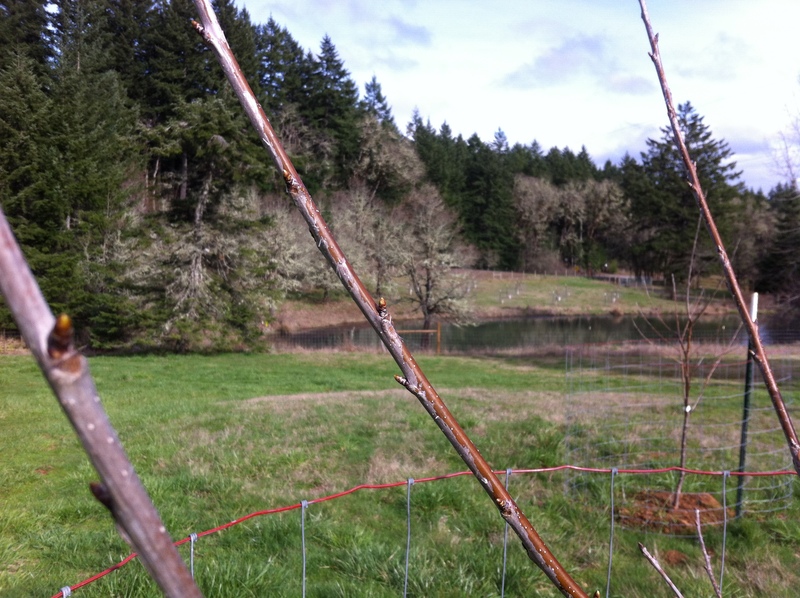 Our young fruit trees that were planted this past fall, are just now starting to swell…sooooooonnnnn to be blossoming!!! 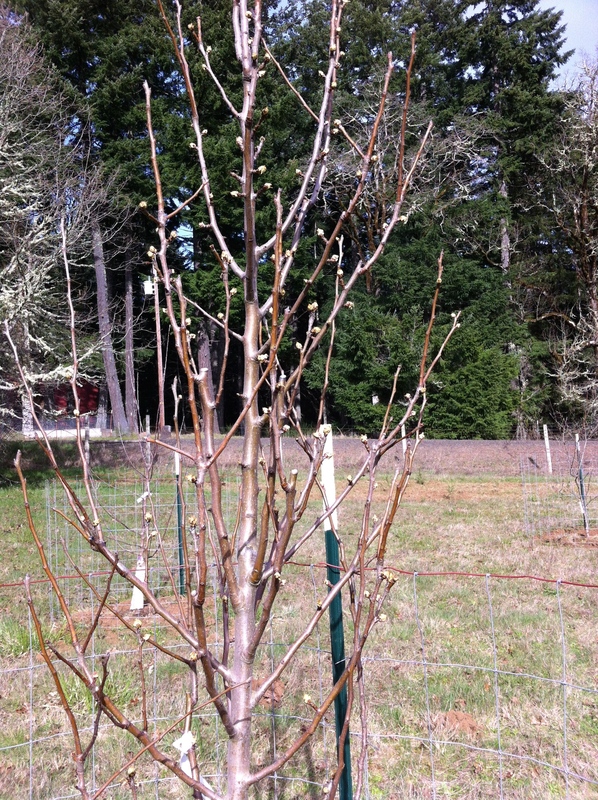 The Pear trees show the most spring-like activity. The Chestnut trees are trying hard to be part of the big spring show! “I’m Here,” shout the Cherry trees!! 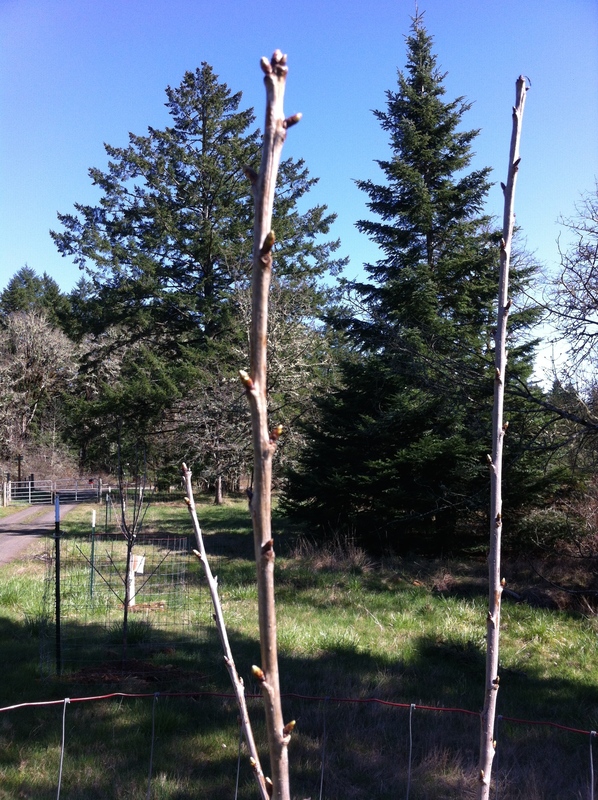 It’s great to know that these young trees survived the harsh cold, and unusual large snowfall that hit us in January. 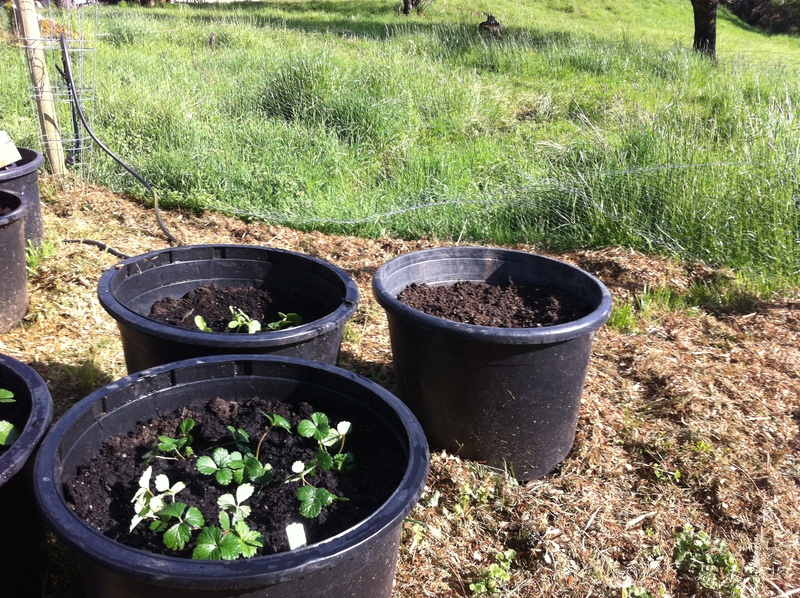 These beauties are shouting their presence and eagerly waiting to spring forth into the 2014 growing season. The roadblock in front of them are the freezing temperatures we are still experiencing in the early mornings. There is still “frost on the pumpkins” and cars, and rooftops, and ground. 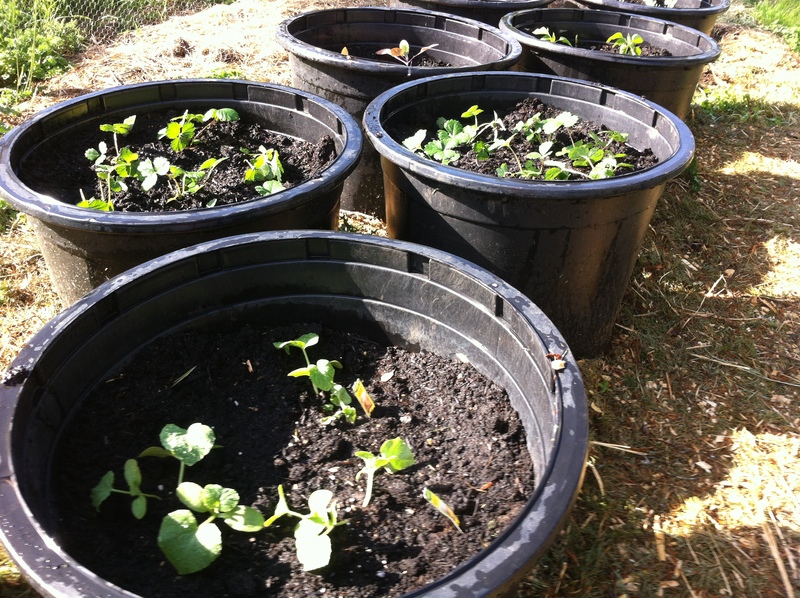 We may still be three weeks out before that ends, meaning, sadly, our garden has to wait awhile longer. Although the Giant Sequoias experienced a little frost burn on their tips, the branches are still green and pliable…WHEW!!! That is good news. 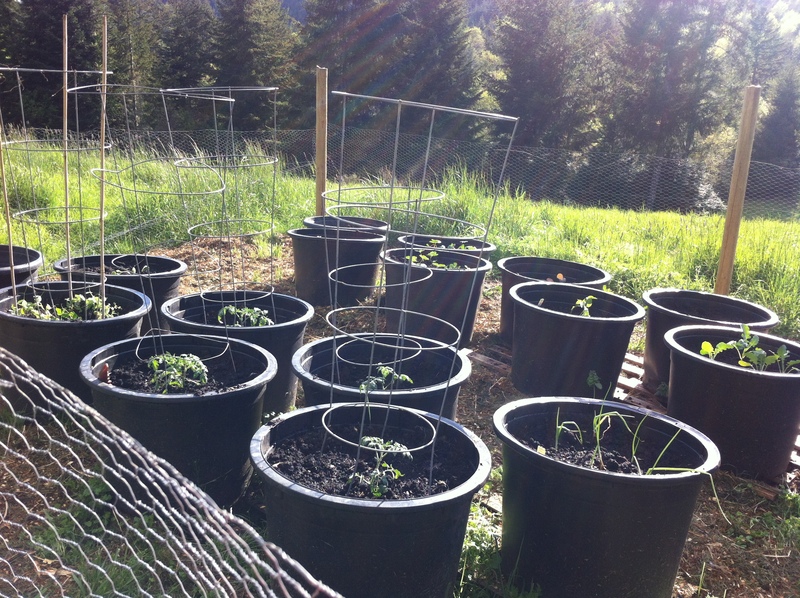 On the 300 Douglas Fir saplings…we may have lost half of them due to the big snows. 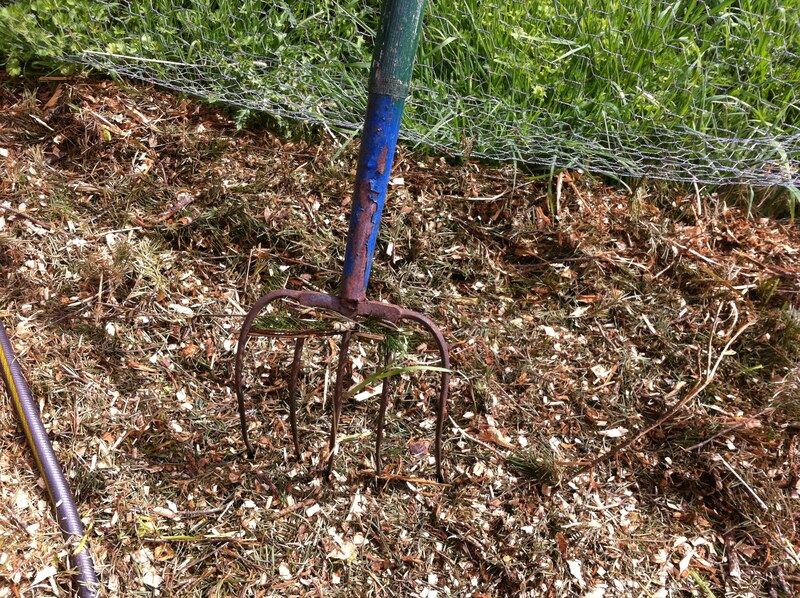 It may not be as bad as it appears, but on numerous saplings, needles come off in our hands…not a good sign. In normal conditions, we would loose many of these trees, one reason why you typically plant so many, but this winter was definitely NOT normal! 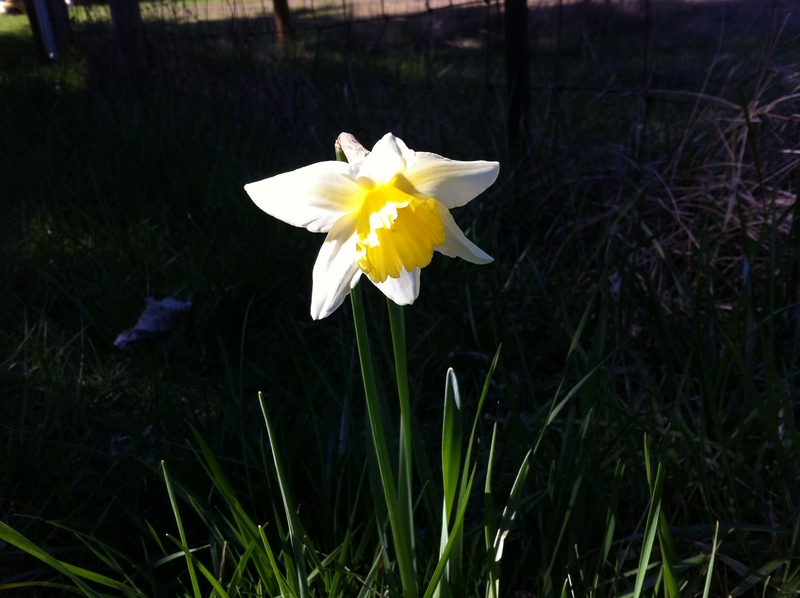 Definite signs of spring on the farm…starting with our most welcomed tenant, GLORIA!! GLORIA!!! 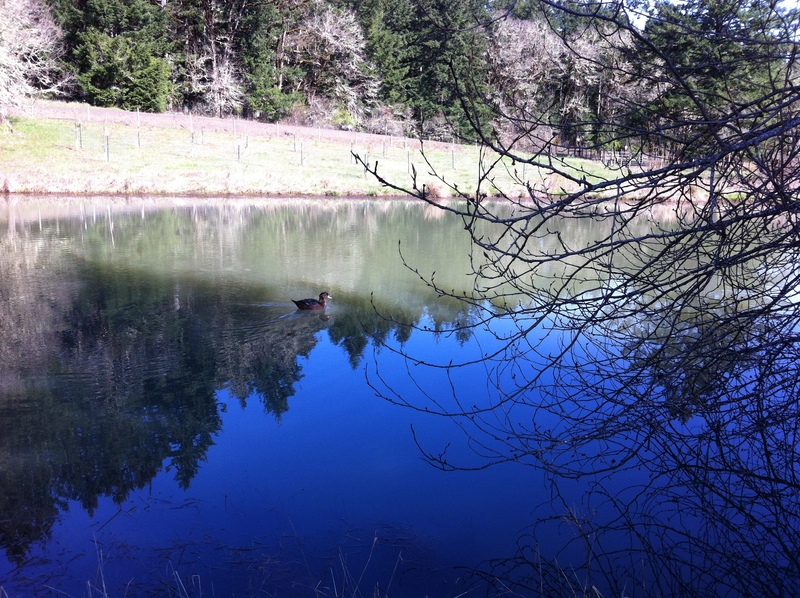 Our little wild duck that migrates back to the pond every spring!! 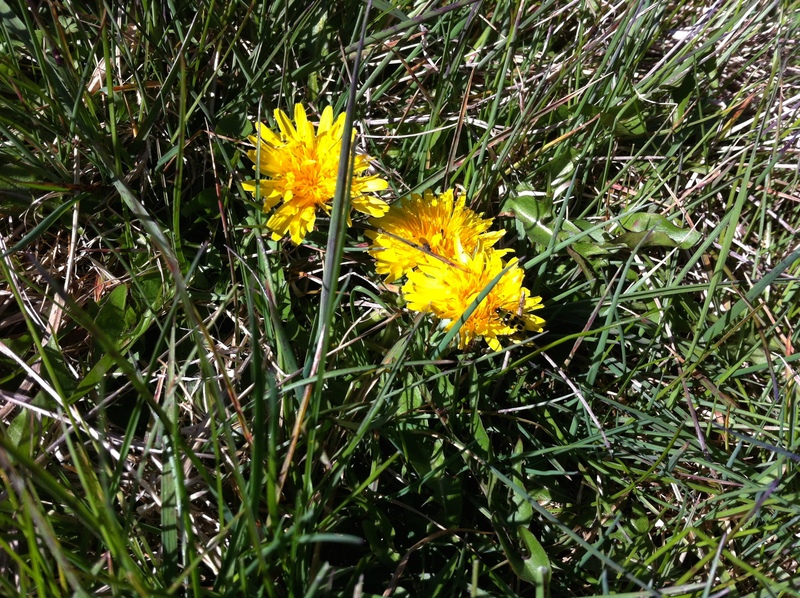 The first dandelions of the season! My flock is very happy!! 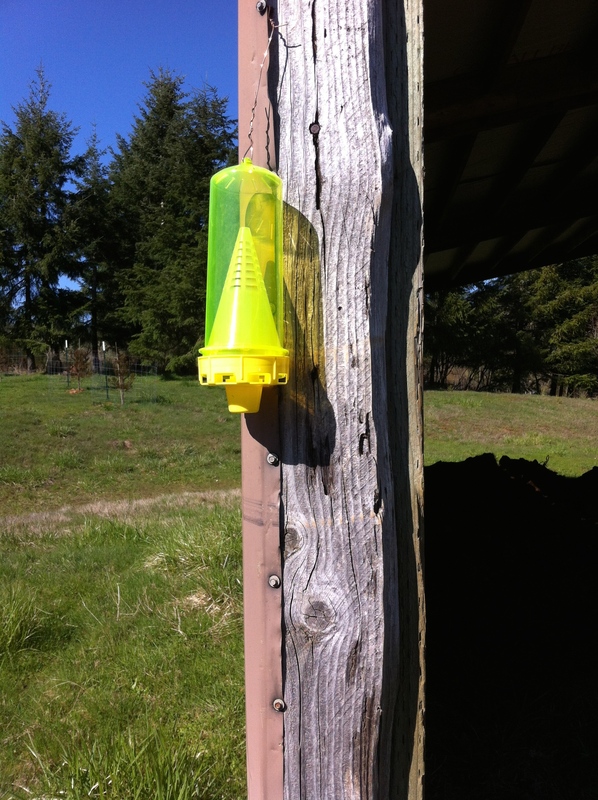 We’ve hung the wasp traps to capture as many queens as we can when they emerge from hiding! I know it’s spring and not summer ’cause the Barn Swallows have not made their nests yet in the barn. One side of the wood paddock has been burned through the winter. The ultimate of ULTIMATES!! The frosting on the cake! The sure sign that spring has sprung…..
……I could feel three more eggs were cracked under Mama hen yesterday…she hasn’t shown me the new little ones yet today, so I’m not sure how many more have hatched…but I will update soon! She had 10 eggs under her before hatching started! When does life begin? ?…the age-old question. I believe that life begins at conception, for many reasons…and I believe the Bible tells us this. So what does that mean for chicken eggs? Given the right heat and humidity, a fertilized egg develops into a chick…but, put them in the fridge, they look and act like any other egg. 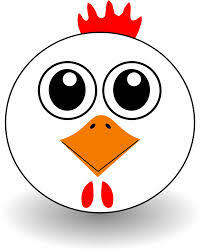 Seems to me it is safe to believe that in a fertilized chicken egg, once it starts developing, life has begun. Little Austin Healey is the strongest example of this…EVER!!! 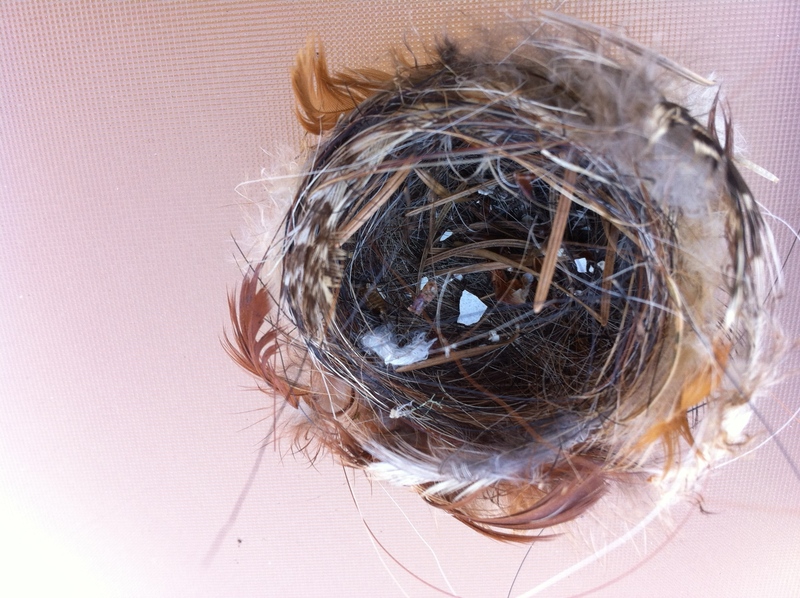 She fought to stay alive in her shell during extreme single digit cold temperatures…Chardonnay was on and off the nest in the beginning because she kept getting confused which nest was hers. 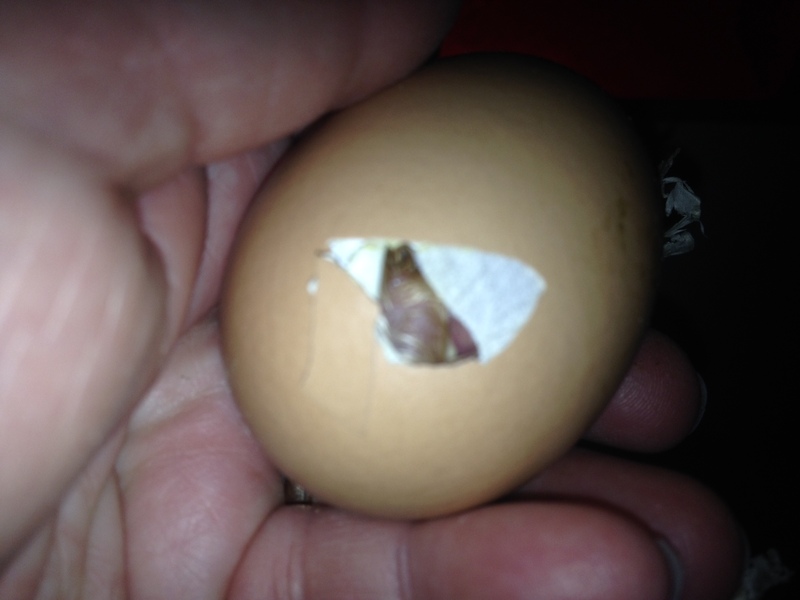 She warmed, she cooled, she warmed, she cooled, she was late in hatching, and when she finally did hatch…….. Very soon after her hatching, it became apparent that there was something different…wrong with little Austin Healey. Trying as hard as she could, she was not even close to being able to stand….she crawled on her belly, and her legs splayed out to the sides. She was so determined, she never gave up…so neither would I. I promised Austin that I wouldn’t give up on her. As I watched her, it seemed that she had hatched prematurely even though she had been in nest for over 21 days…is that even possible…is it possible for a chick to start and completely hatch from an egg prematurely, on her own?? I am convinced that it is. Here’s Austin’s story since the hatch…. Austin’s legs had no tone, her feet looked almost as if the bones had not finished developing. They would curl into a “fist” whenever she tried to use them. 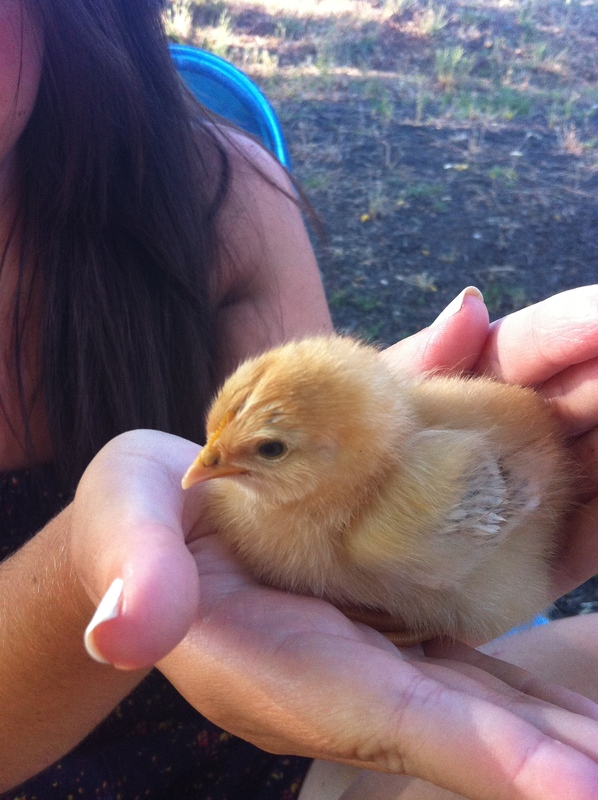 She was so less developed than the chick, Honda, who had hatched just 29 hours before her. The pictures really show the extreme differences between these two. 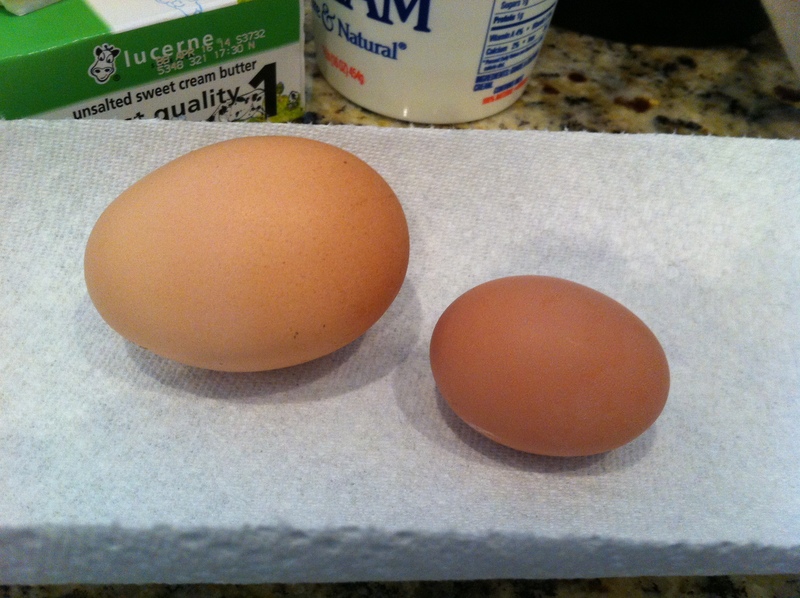 Hatched just 29 hours apart…big difference! Honda standing, Austin could not stand. 20 hours after hatch…Austin is having a tough time. Obviously, Austin needed to be given a chance to develop and grow stronger, so she was separated from the young flock. Since there was such a big gap between these last two chicks and the others, I took Honda out of the brood (she was getting kicked around a bit) she and Austin became roommates. They had each other to cuddle for warmth, and I believe that Honda was a great example for Austin to follow as she struggled to stand. Hoping to strengthen her legs and hips. I so hope this works! There is so much that I could say about our little Austin Healey. She is and was such a fighter. She tried and wanted to stand so badly. We worked together…every time I held her up to eat, I positioned her feet and body correctly so that she was upright, and uncurled. Everyday, Austin got just a little bit stronger. 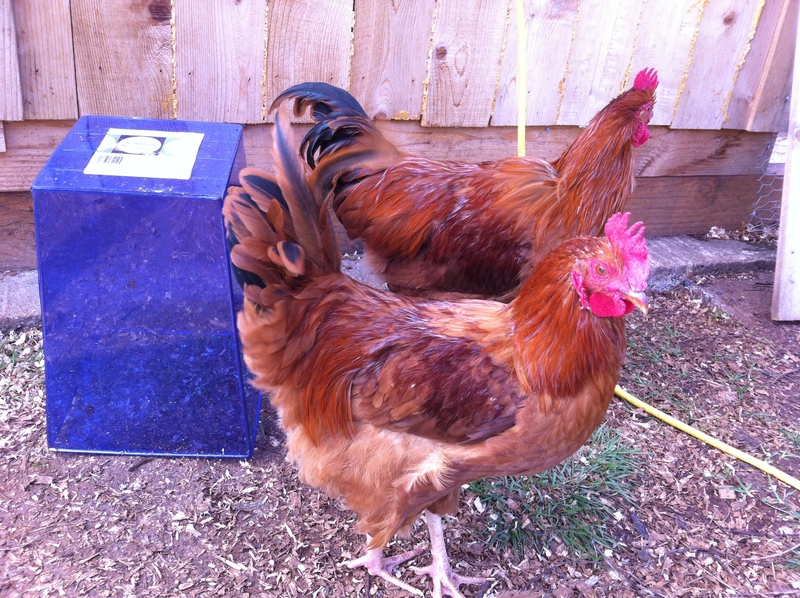 Honda moved back into the main brooder leaving Austin a little lonely…so we gave her a friend..
Not quite the same as having Honda around, but better than being alone. Austin worked hard on her physical therapy, holding her body up, with my support, working the muscles in her legs. Then one day, her legs stayed forward, underneath her…the next day she was moving around in a squatting position…the next day she wobbly, wobbly stood mostly straight…the next day, she stood up and walked upright….the next day she gained strength and coordination…the next day, she met her mama, Chardonnay, for the first time. She spent the day, she spent the night…she survived both. 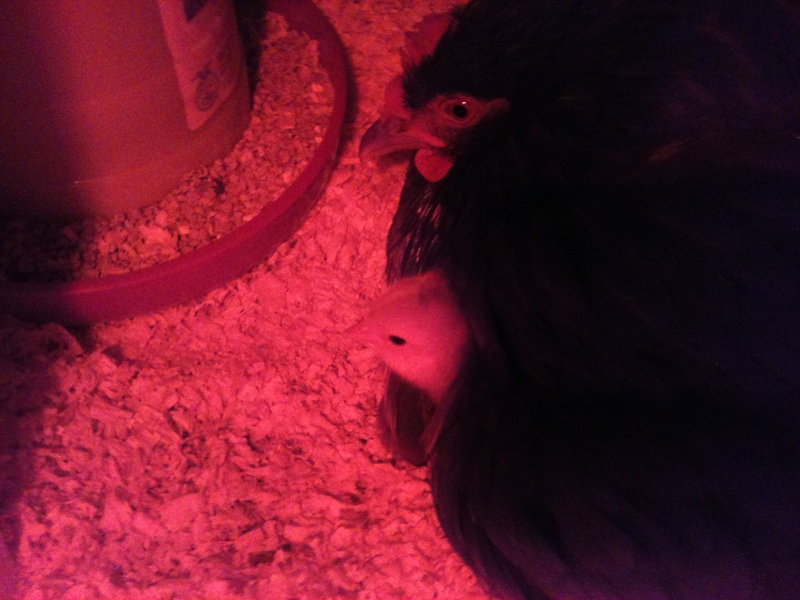 She eats and drinks with the brood, she cuddles under the heat lamp with her family, and hides under her mama’s wings. 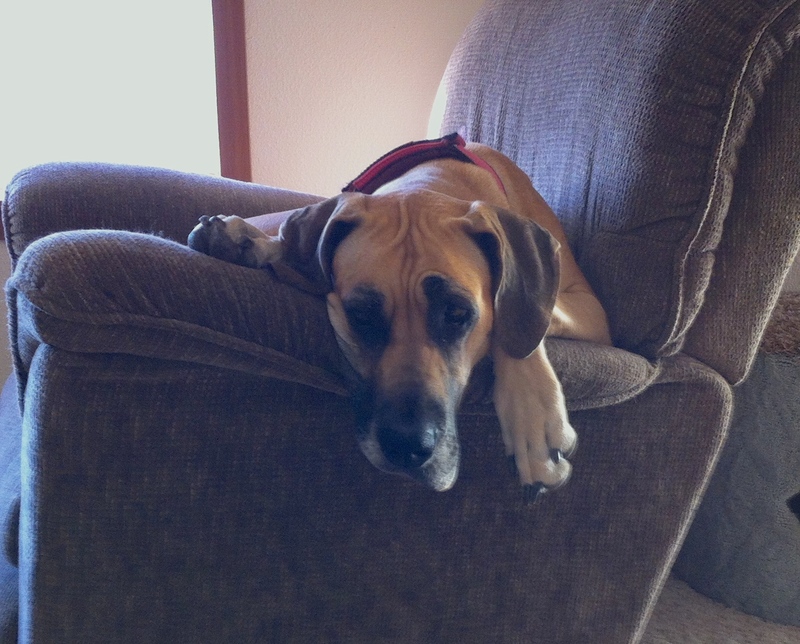 She is a fighter…she is AWESOME….she is home!! Way to go little Austin!! I have no words to say that would add to what the video already says….except maybe two things….my Great Dane, Penni, totally believes that all chick babies belong to her…and GOD IS COMPLETELY AWESOME!! 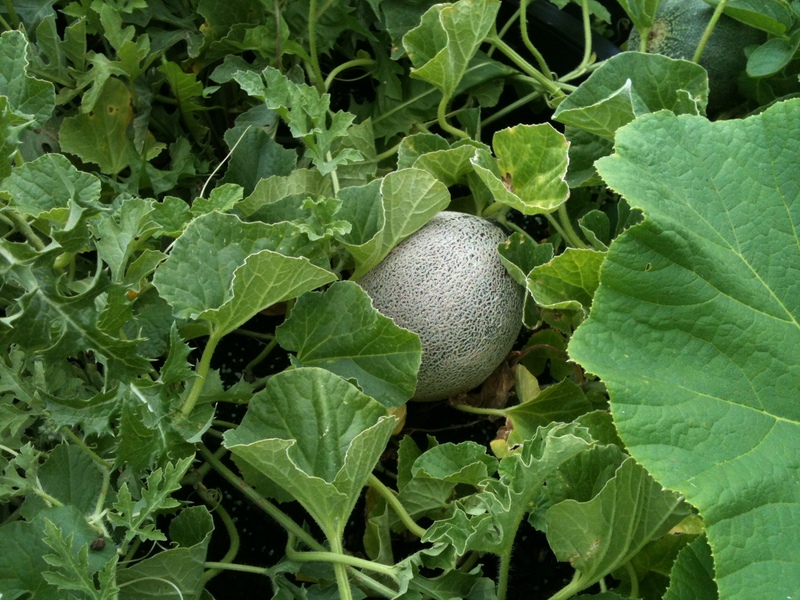 I’ve never seen a complete hatching before, and I hope that the experience never grows old…. Three Plus Four = Ten?? I’ve never been that great in math….can you tell? My dilemma with the finite solution of 7 to the equation in the title, doesn’t lend to the possibility of the three waiting in the wings…so to speak. Technically, 3 + 4 does = 7…but I think it is more fun to ponder the possibility of 10….because right now, the possibility does exist!! 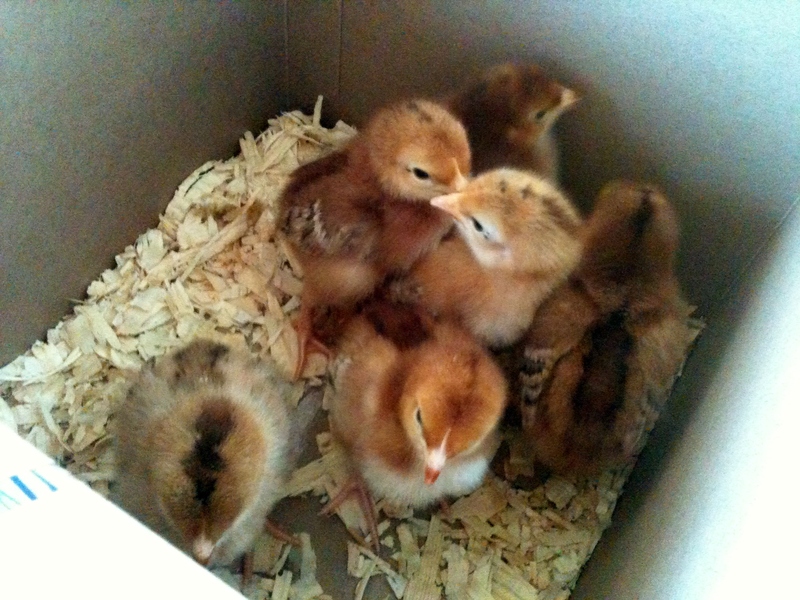 The last time I updated on our Christmas brood, we had three hatchlings….now there are SEVEN!!! 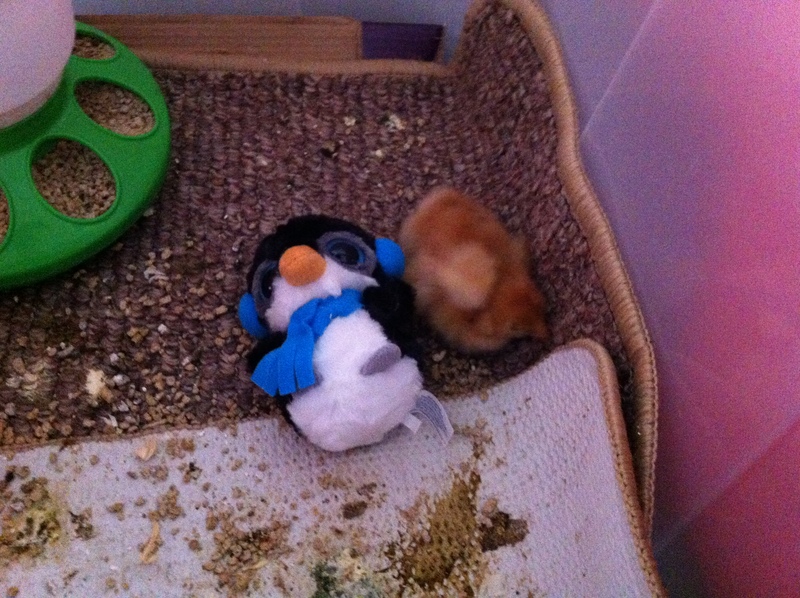 They seem to be hatching a day apart from each other. 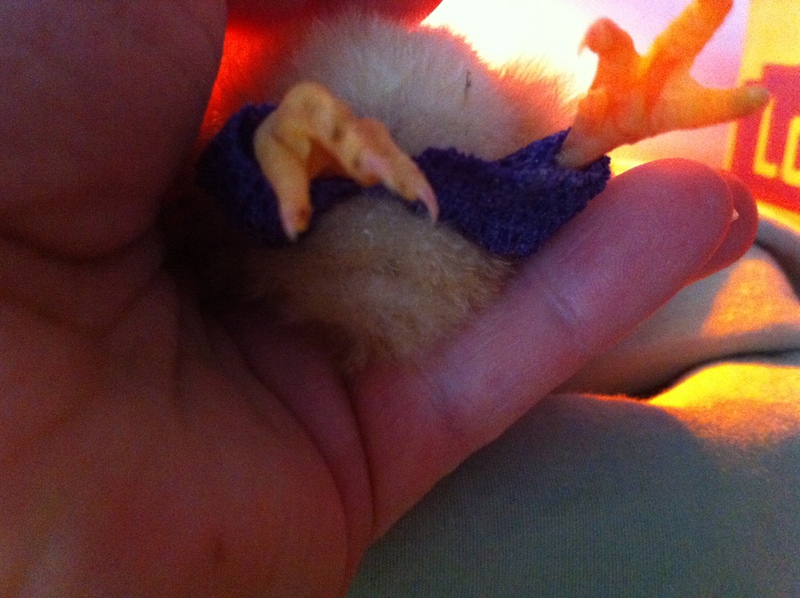 One chick, #6 – or better known as William Jr. (long story there), had a difficult time hatching. I got a bit anxious and got involved a little too much with the process by breaking the shell, leaving unnatural break-lines, and weaknesses to the shell. 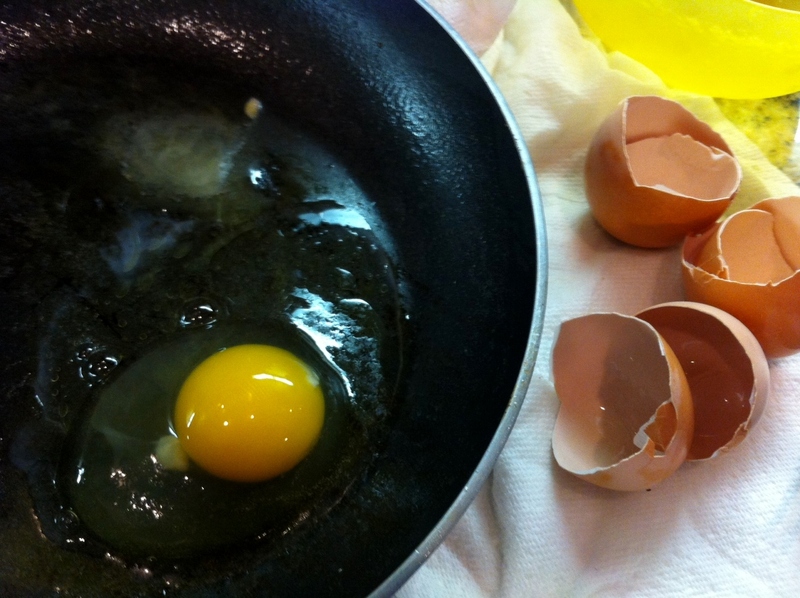 Cracked egg…I started to help the process. A couple of hours later, I felt the chick was struggling, I had broken the shell too much, and Chardonnay was pecking at the baby. I took it inside to finish hatching. After a short time, Chardonnay sensed something wrong, and started pecking at the exposed chick, not the shell. 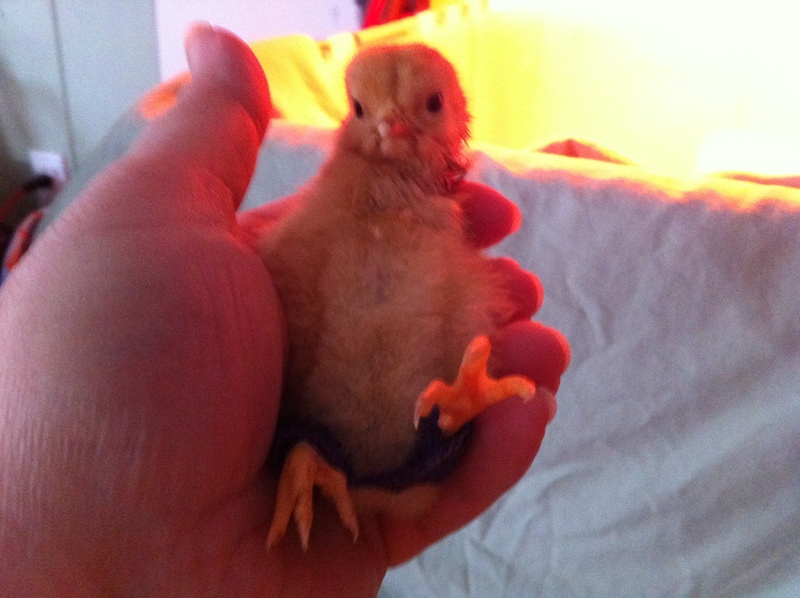 At this point I removed the hatchling from the nest, and brought her inside the house. We did not yet have an incubator so I made a warm area underneath my bathroom sink utilizing a lamp, a cup of water for humidity (my husband’s idea), and a heating pad underneath the box wherein I placed the shell. 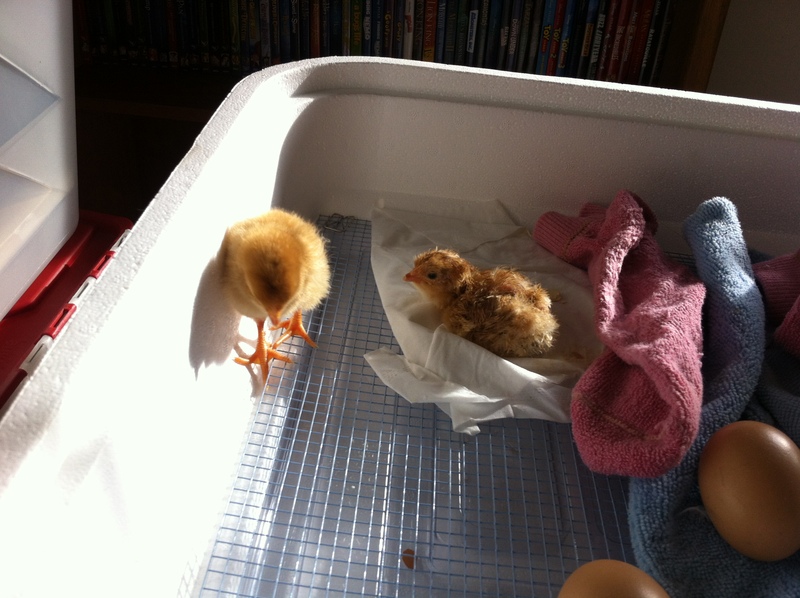 Warm area under the sink to help William Jr. finish hatching. If this little one survived, GREAT, if not, at least we gave it a chance. 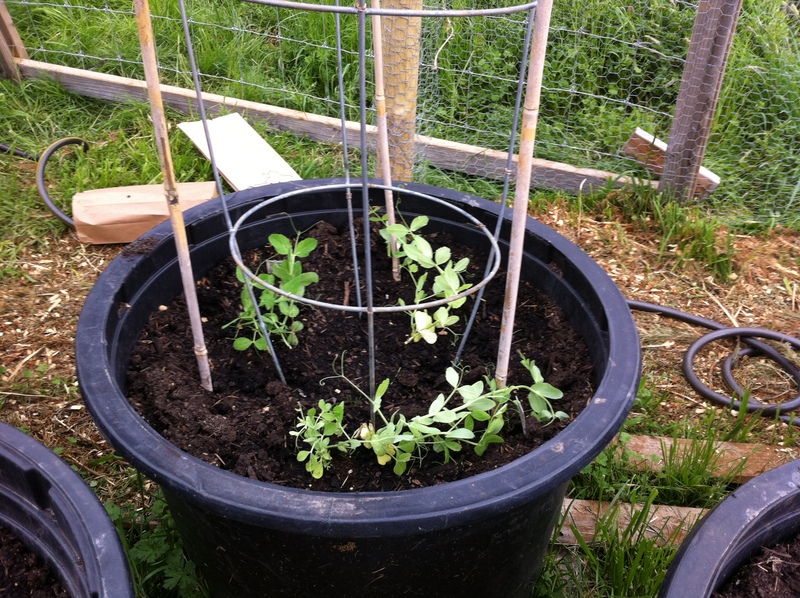 Chardonnay was not going to be so nurturing. 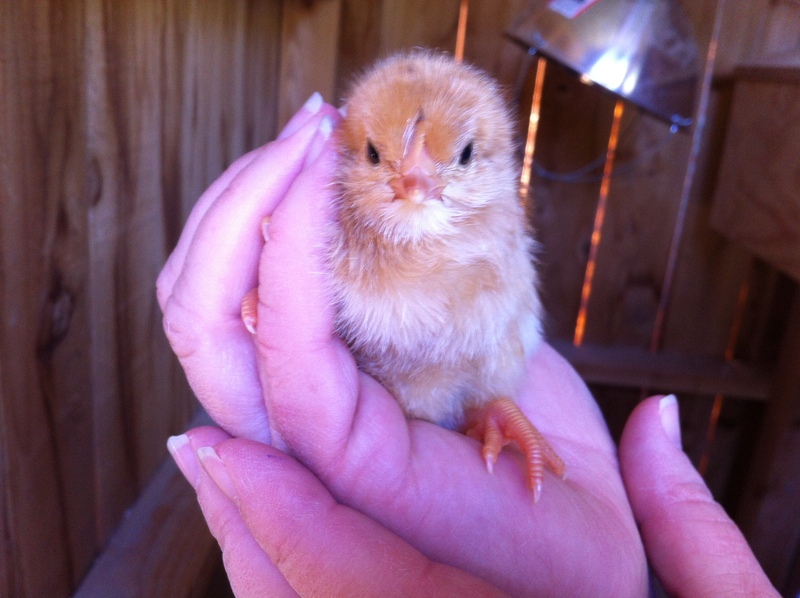 After a couple of hours, my daughter, Roni, checked on William Jr….he (hopefully a hen not a rooster) had hatched and looked pretty weak. Within minutes, like maybe a half an hour, it was obvious that this chick was strong and completely normal!! I then took it out to Chardonnay…here is what happened next…..
That night, one more egg hatched under Chardonnay, leaving the count of four yet to hatch. 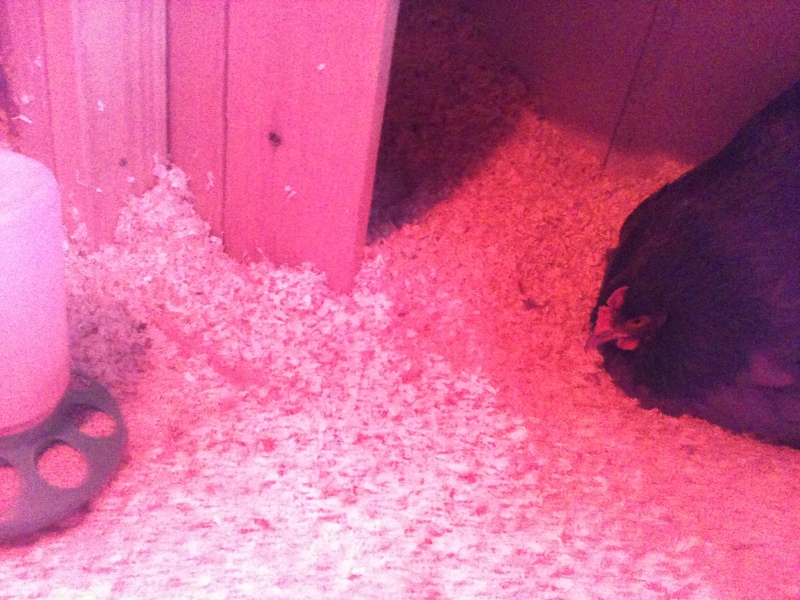 Mama hen became so busy with her brood, that she started leaving the nest for longer periods of time. She would allow the eggs to cool down a lot, and with the temperatures as they have been, I was afraid that these eggs wouldn’t get a chance to hatch if they were, in fact, viable. 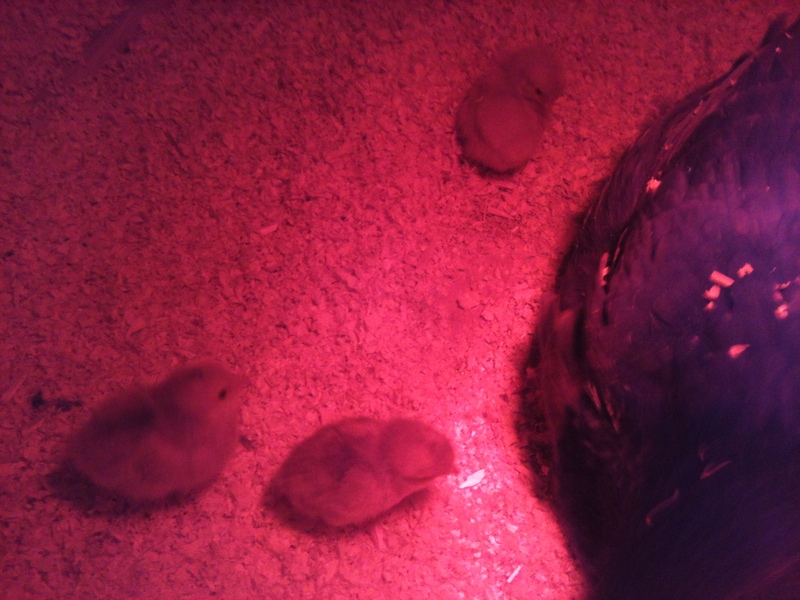 We gathered the four and put them in the incubator. 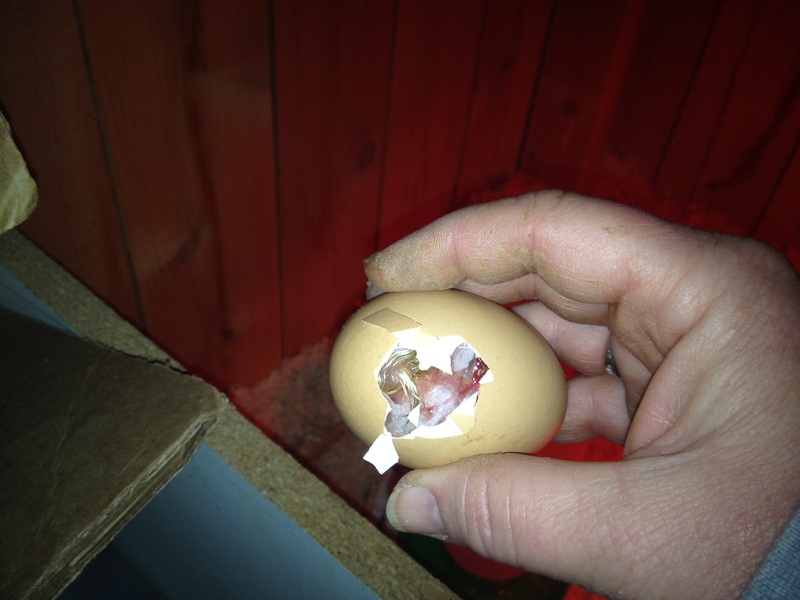 Yesterday, December 27th, the first of the four hatched at about 5 P.M. At about 8:30 P.M. I brought the chick to Chardonnay. She was sitting on her nest…all the chicks were under her. I set this little one down in front of her, she looked sideways at it..cooed, lifted her breast, and the little one scooted right under her!! 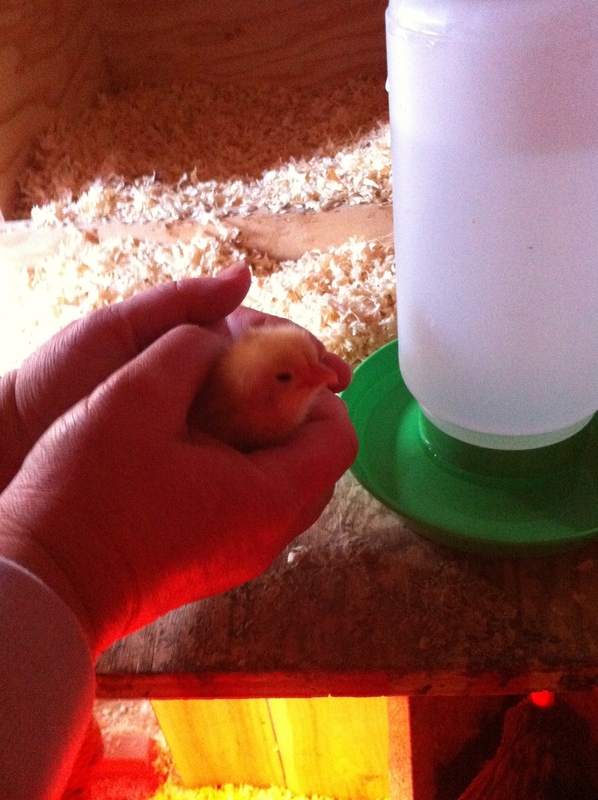 Checking this morning…that 14 hour old chick is doing GREAT…swallowed some water as I dipped her beak into the water dish, and ran around with the brood pecking at food that Chardonnay kicks up for them. I’m a happy Chicken Mama!! 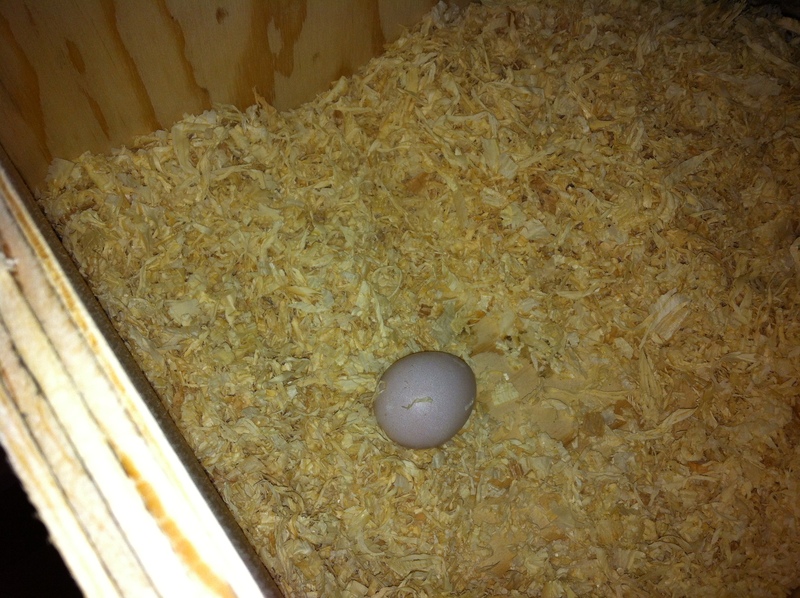 BTW, another egg in the incubator is currently chirping….within the next few hours, we should have # 8!!! 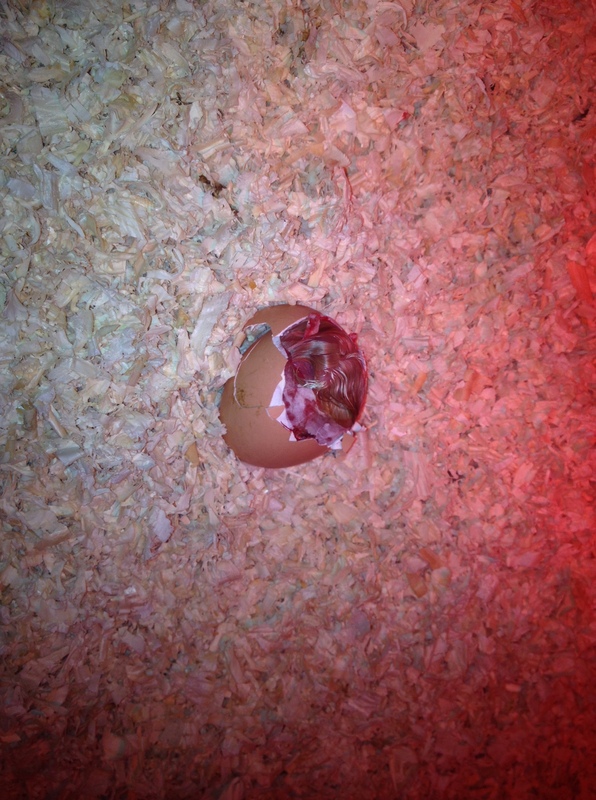 Status Update on our 2013 Christmas Season Hatchlings…. and sweet little, pure yellow VW, named after my daughter, Roni’s, little yellow bug. 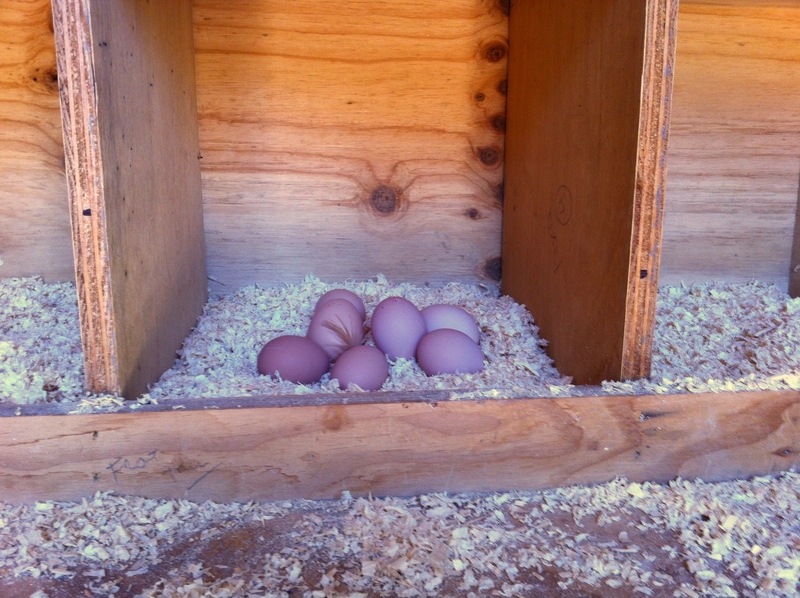 If you remember, Chardonnay has been sitting on 14 eggs, she started with 7 and added 7 as that first week went on. Roni and I decided to candle the remaining eggs in the nest to get an idea of things to come, and if it seemed that there were more viable eggs. Due to the difference in time, it is hard to gauge when to take the eggs away and let Mama just go about raising the 3 that hatched. Candling is really cool! I hadn’t ever done this before, so I was quite amazed. 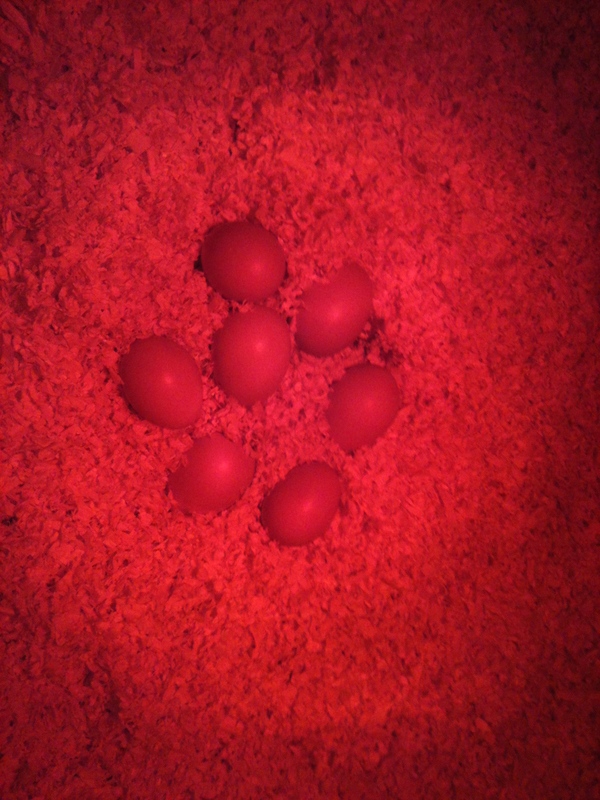 Out of the 11 remaining eggs, 4 had not formed, but 7 had. Within each of those 7 eggs was a definite air pocket, and complete blackness indicating the growth of a chick. A beautiful air pocket within this shell. This egg is very full…close to hatching?? Whether or not the eggs are still viable at this point, only time will tell…we have a few more days for the next hatching window (actually from today through Christmas.) 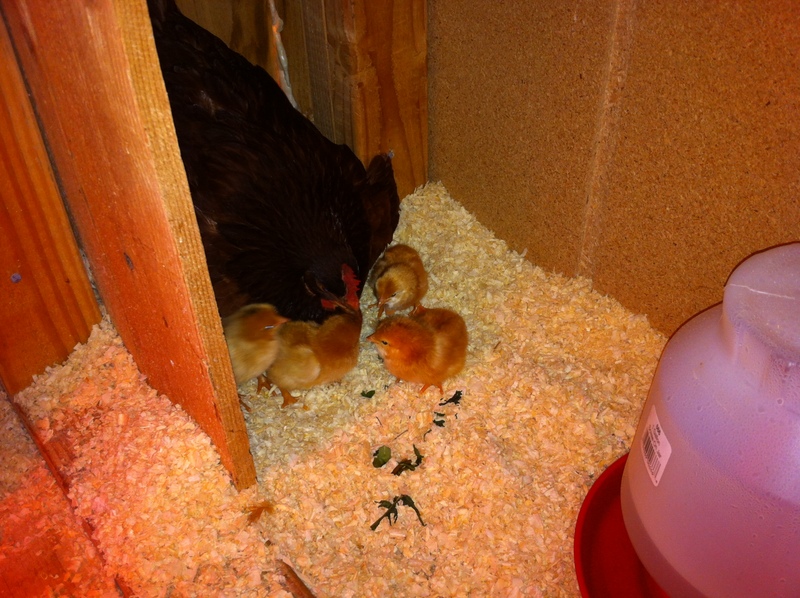 In the meantime, Chardonnay is loving on her babies…she is such a good Mama Hen! In the cold of winter, she provides a consistent place of warmth, and her babies know it. Speaking of the cold, it has been a challenge. 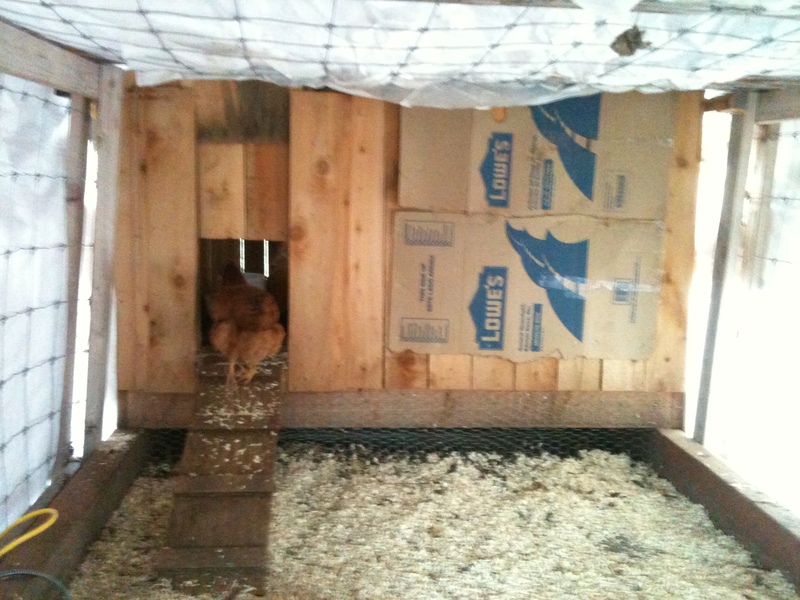 I am using long throw rugs to block drafts from the people door that leads from the main chicken room into the now revised people/brooder room. I’m using this same method for the people door that leads outdoors. By doing this, using a heat lamp, and an abundance of pine wood shavings, I think our little family is keeping warm and toasty. Chardonnay’s nest is in a bit of a covey not directly in line with the heat lamp, keeping it at a more moderate temperature for Mama. She seems to be thriving there. 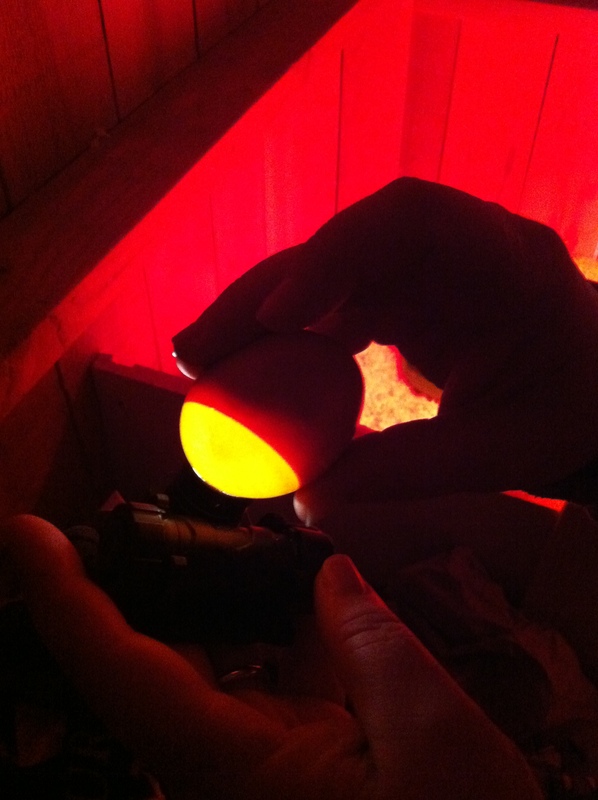 The seven developing eggs after candling, and removing the four nonviable eggs. she and the babies were sitting away from them. 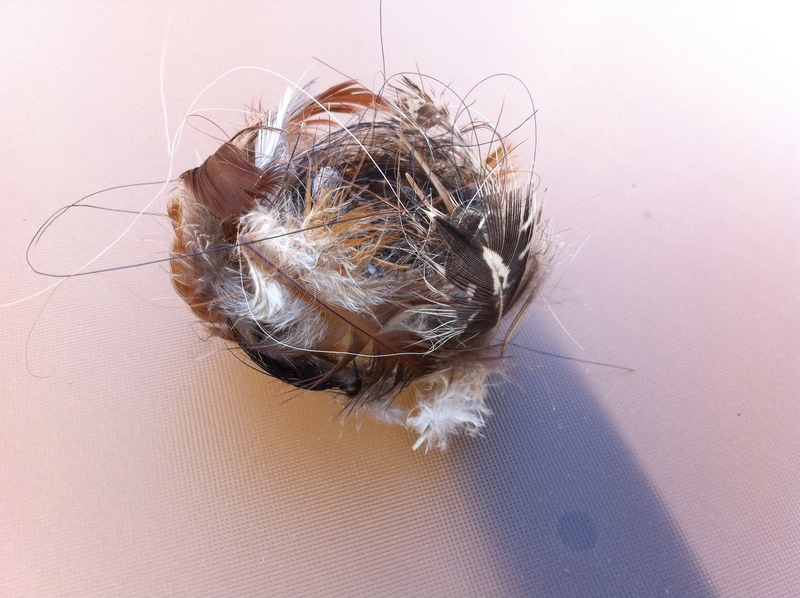 I scratched my head thinking…”Maybe she feels it’s time to abandon the nest?” I decided to totally just clean her nesting area with new shavings and see if that made a difference. I went away for a little while, and lo and behold, when I returned, the eggs were back in their proper place, and Mama was back on the nest! UNBELIEVABLE! That was completely AWESOME…but then again, my little Chardonnay is completely AWESOME!!! 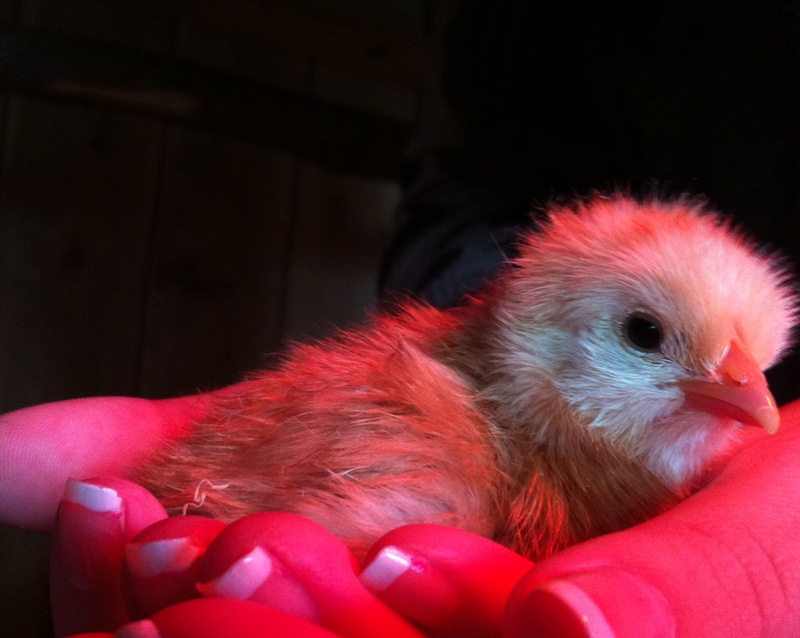 She hatched yesterday morning….and I am in complete awe. I mean, it works…it really works!! 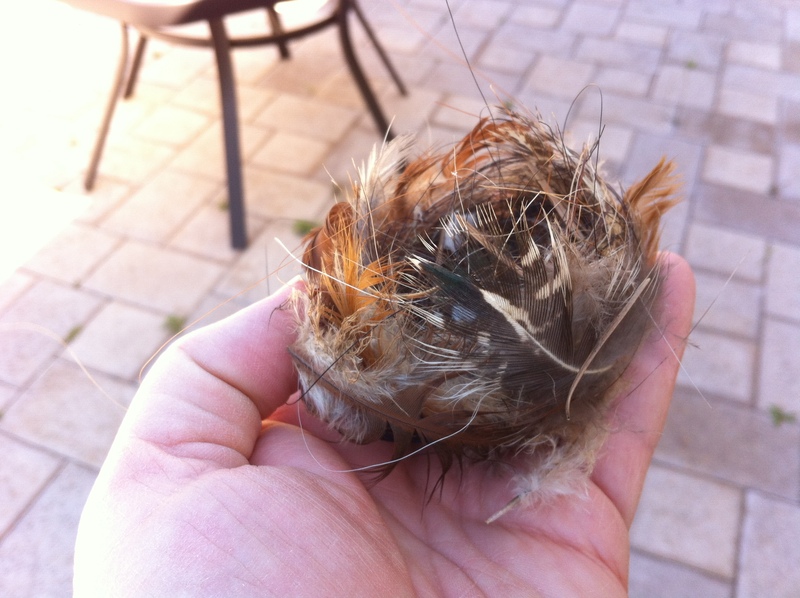 You raise a chick, they grow and start laying eggs, the roo becomes a full fledged rooster, a hen sits on a nest…and WALLAH…a baby chick hatches out of that egg!! I mean, c’mon…isn’t that the coolest thing ever!!! God’s creation is amazing, and I am continually amazed at His design in nature. AMAZING!!! I dipped Loa’s beak into her water dish, and she responded wonderfully! She is so tiny! Mama Chardonnay watches her carefully as she comes out from under her, skits around then dives back under Mama to stay warm. Sooo cute! I don’t know if anymore will hatch, but I’m really optimistic now. Stay tuned……. 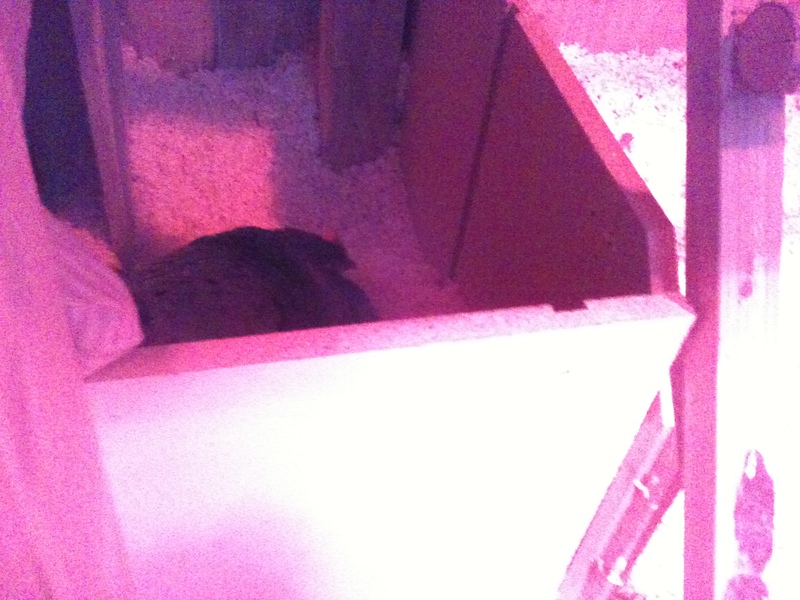 The expanded brooder with wall removed from nesting box. 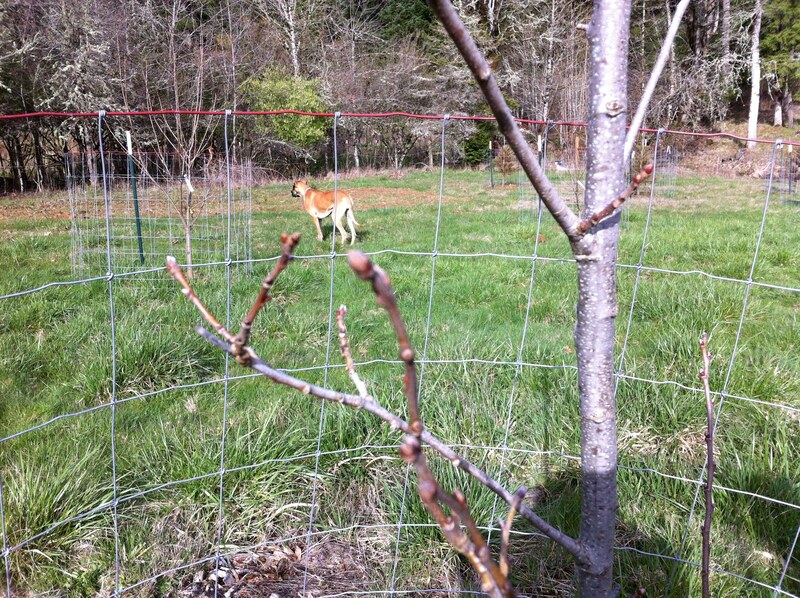 Twenty-one days that Chardonnay has been on the nest…today may be the day she hatches one or some baby chicks!!!!! 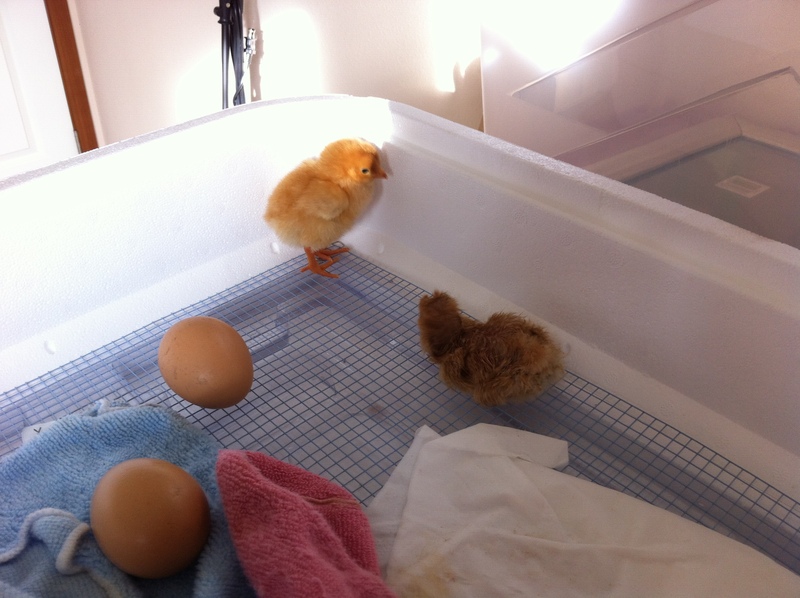 Okay so here is the real exciting part………..
I’m a nervous chicken mama. 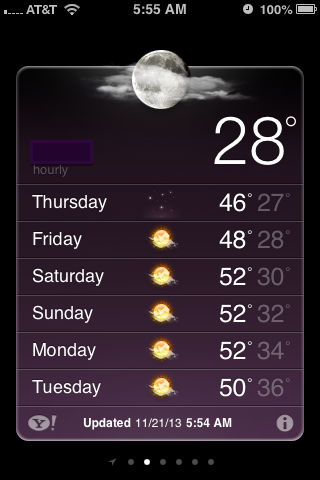 The temp has been dropping steadily for days. Our efforts to protect the flock has been a learning experience, especially since one of our hens has decided that this would be a great time to sit on a nest. 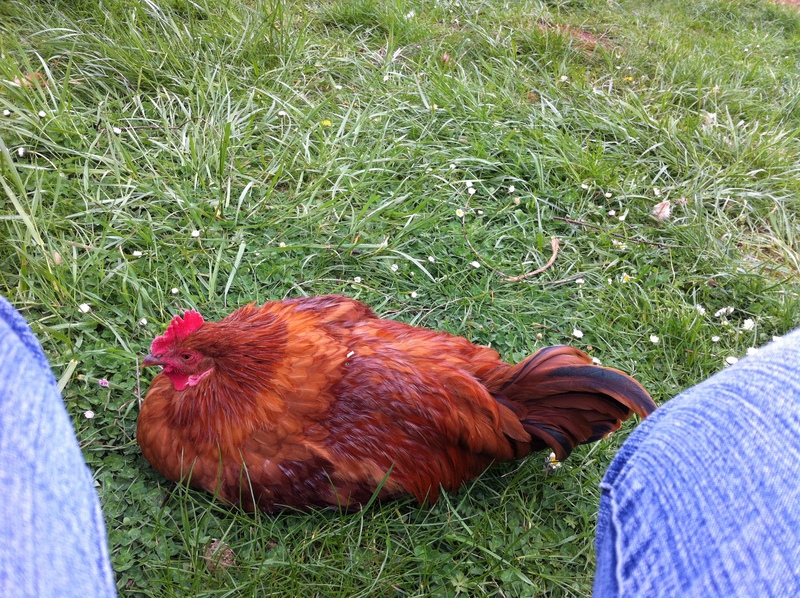 Chardonnay is broody, and extremely dedicated to her potential chicks. 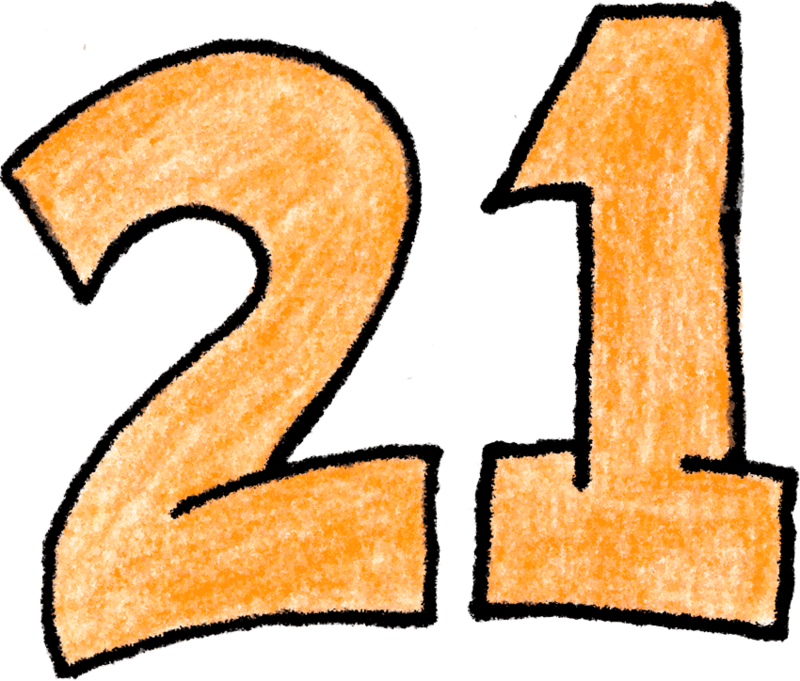 December 14th will mark 21 days on the nest…and maybe our first hatching! 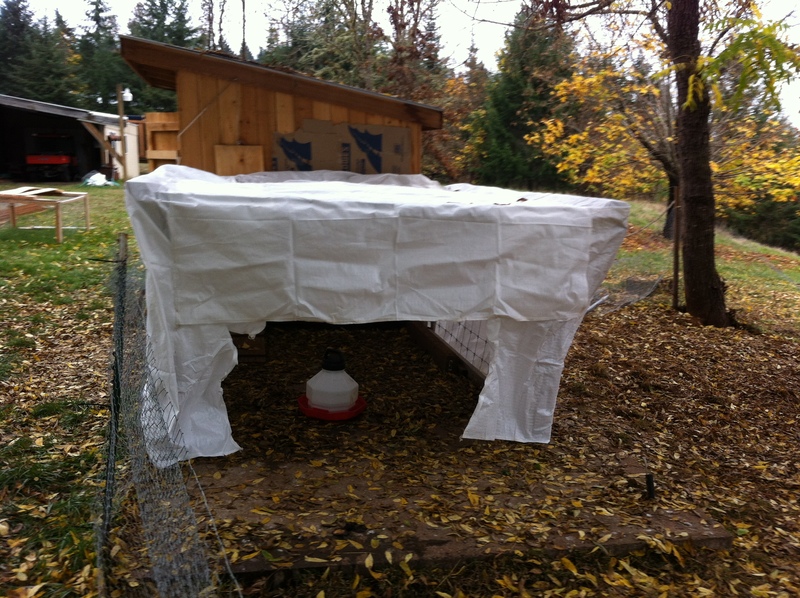 This is our first experience with a broody hen, and I know this is the worst time of year for her to be wanting to hatch these eggs, but….we’ll provide whatever support these little chick-a-dees may need for warmth, etc., and hope that Chardonnay will take over some of that responsibility. She has been off the nest a couple of times wherein I think she has gotten confused which box she had been laying on. 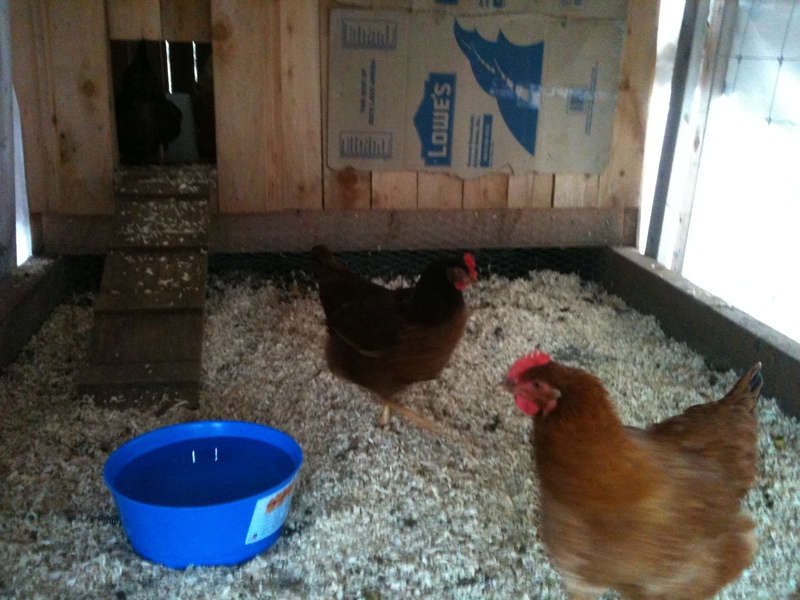 The eggs had cooled off some, but did not get “cold.” Well maybe a couple of them did. Each time I put her back on the correct nest, she has cuddled down and brought any eggs outside of her body into and under herself. At last count, she had 14 eggs!!! I don’t know if she is bringing more eggs into her nest, or if others are laying theirs where she is lying. This is a true learning experience, and if we come out with one or two chicks, I will be ecstatic!! This all started two weeks ago today. 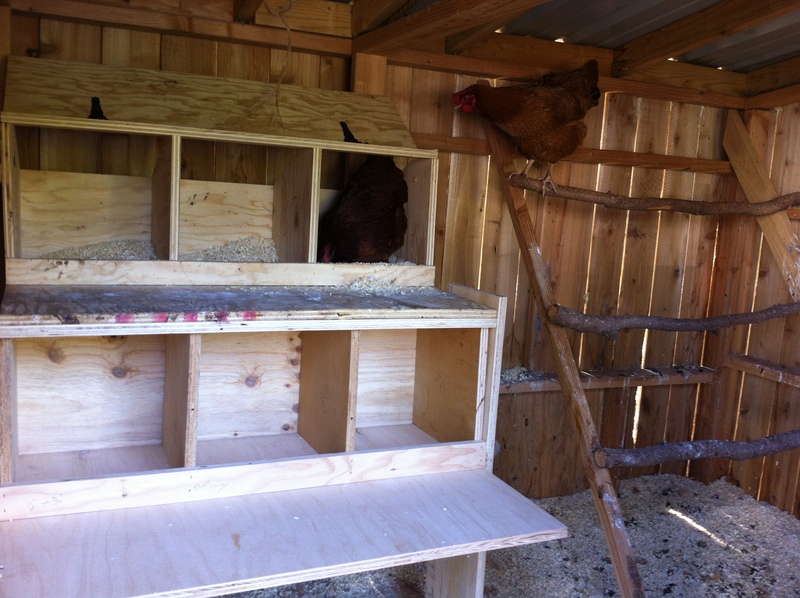 Six of the 7 hens laid eggs in the same nesting box…Chardonnay decided to sit, and there she stayed. 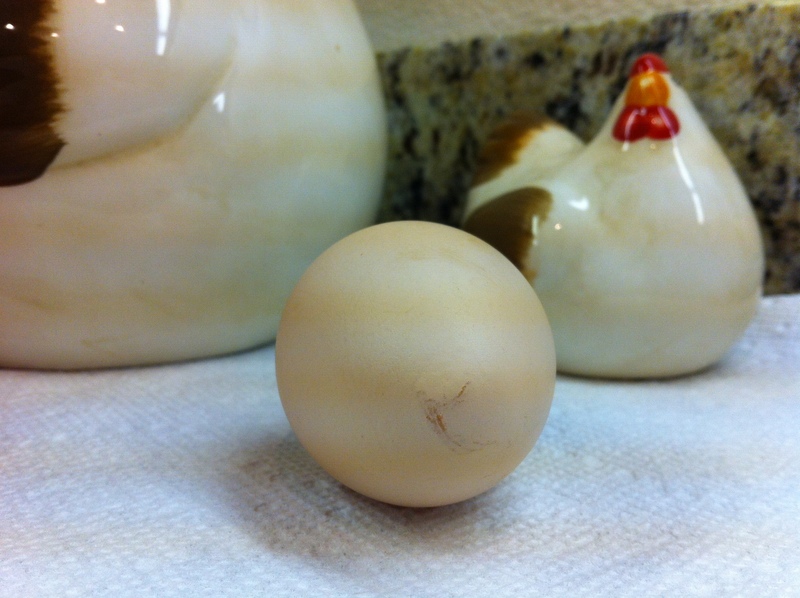 The 7th hen laid her egg in a different box, so since it was still warm, I put that one under her….one egg for each hen giving us a better chance of a pure Buff Orpington chick. 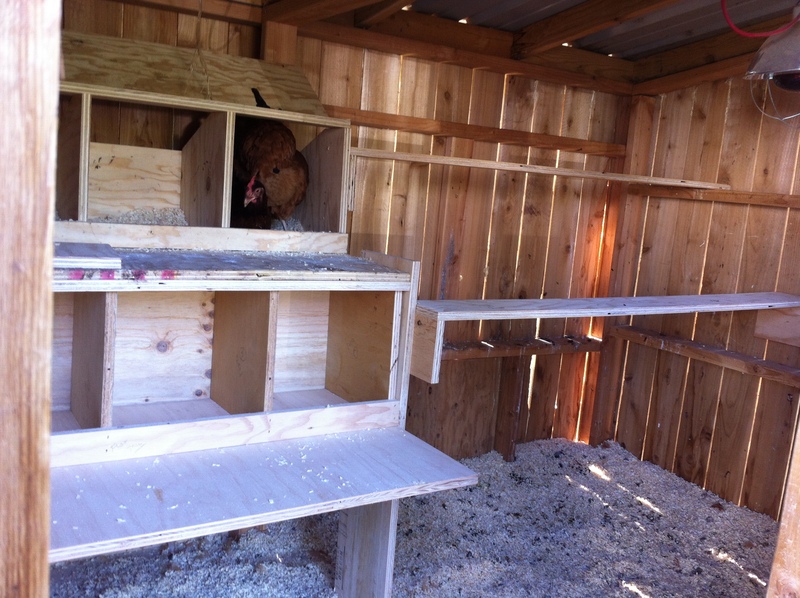 Our boxes are a bit small for a broody hen, so Tony took out part of the lower wall under the nesting boxes (they are about 4 ft. off the ground) and made a nest/brooder area that expands into the “people” area. 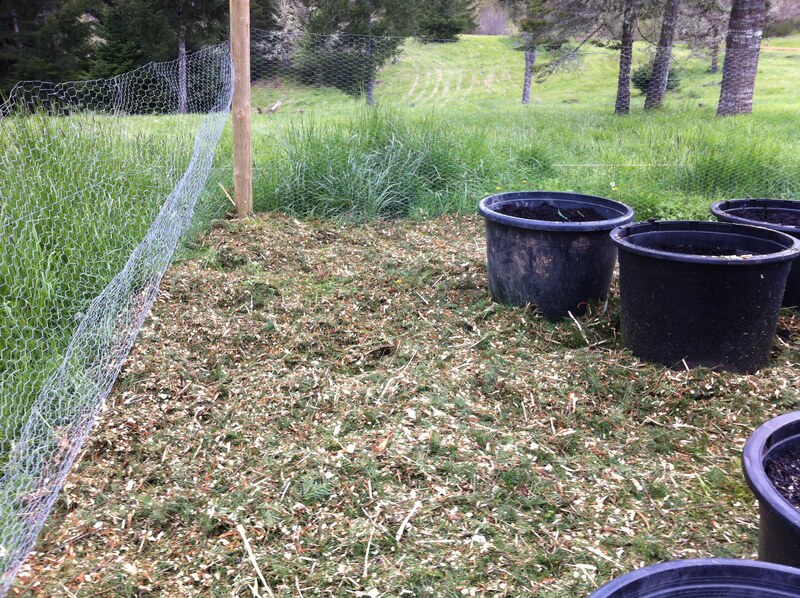 I lost some of my storage space, but Chardonnay is more comfortable, and the chicks won’t fall off the landing area in front of the nesting boxes. I was afraid that moving Chardonnay and her eggs would result in her abandoning her nest, but she is so devoted, she just wiggled herself back into place, pulled two eggs under her that were sitting out, and snuggled in. She has been much more comfortable since the move, and is growling a lot less when I come near. 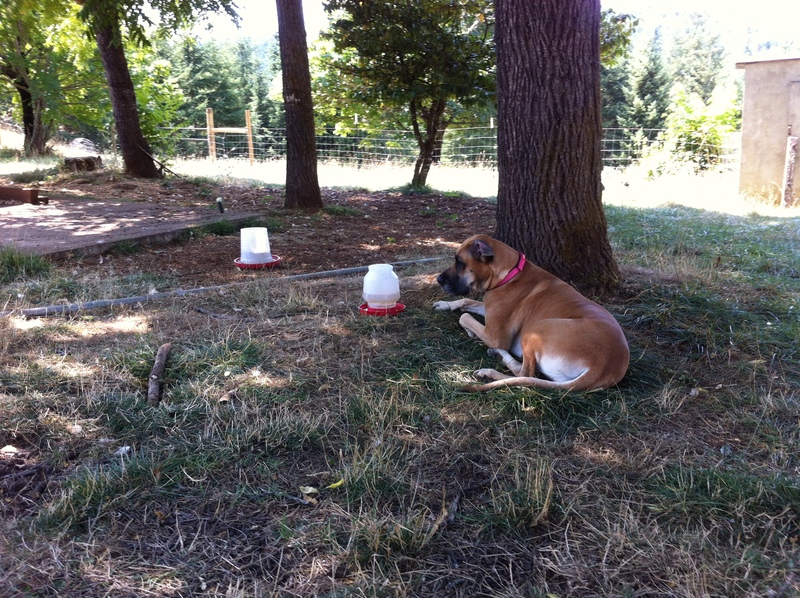 I bring her treats, and little bowls of cracked corn and chicken feed at night…I thinks this is helping. 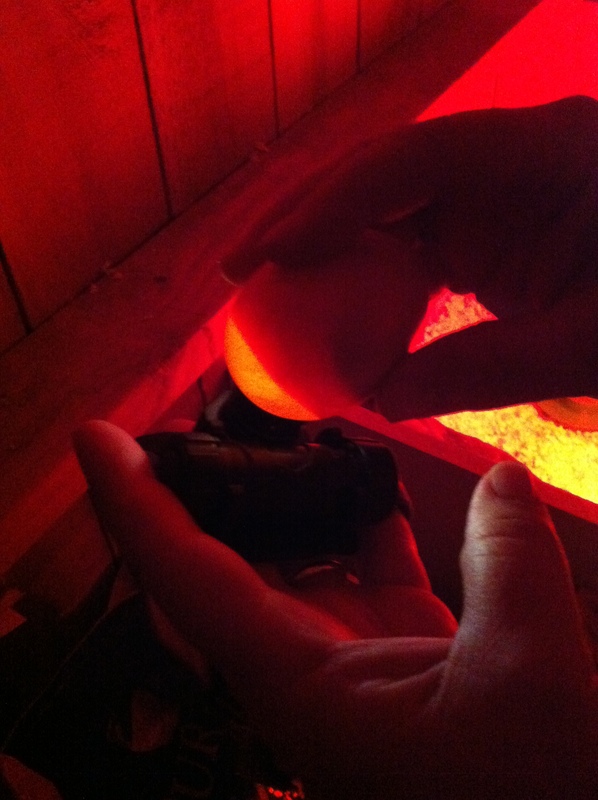 Due to the cold, I haven’t candled any of the eggs to see what we’ve actually got going under there. 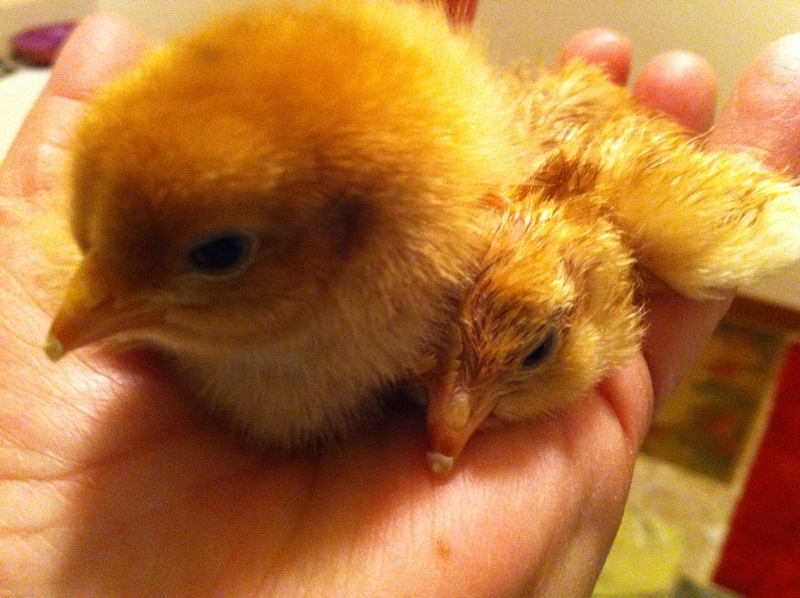 I’m sure we won’t have 14 eggs hatch. It’s going to be fun to see what we actually get…I’m hoping for at least one Claudio (our Buff girl) look alike! Ideally, the hope is that the brooders can stay with the flock (in their own area within the chicken house) with mama leading the way, keeping them warm. Logic would say that their integration will be more natural this way, but there are dangers of attack by other flock members that we have to be really thinking about. Our logic doesn’t always coincide with God’s design in nature, so we’ll try our best to nurture through the cold of winter whatever may hatch. I just hope they’ve stayed warm enough through this bitter cold. Either way, I won’t let Chardonnay sit for much longer than a few days past the 21st day. 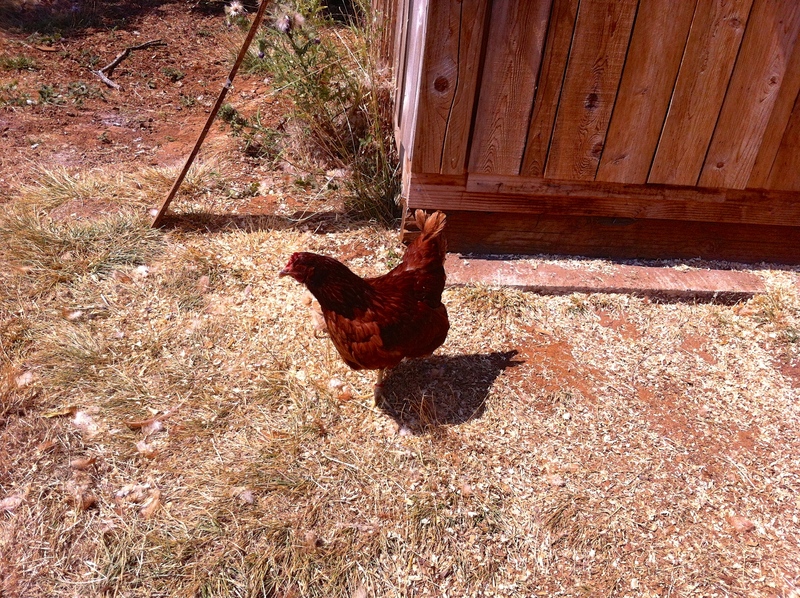 She needs to nourish herself and get back to chicken business beyond nesting. 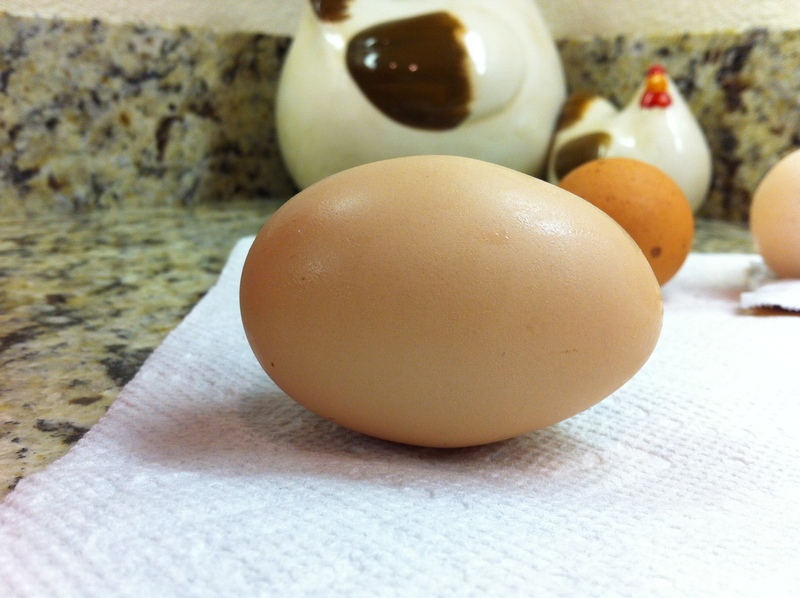 A question for my knowledgeable poultry friends out there….Will eggs that have been sat upon for many day still hatch if Mama Hen gets confused and sits on eggs laid that morning while her nest grows cold? Chardonnay did that today. In very chilly weather, the eggs were cold to the touch when I found them without her. 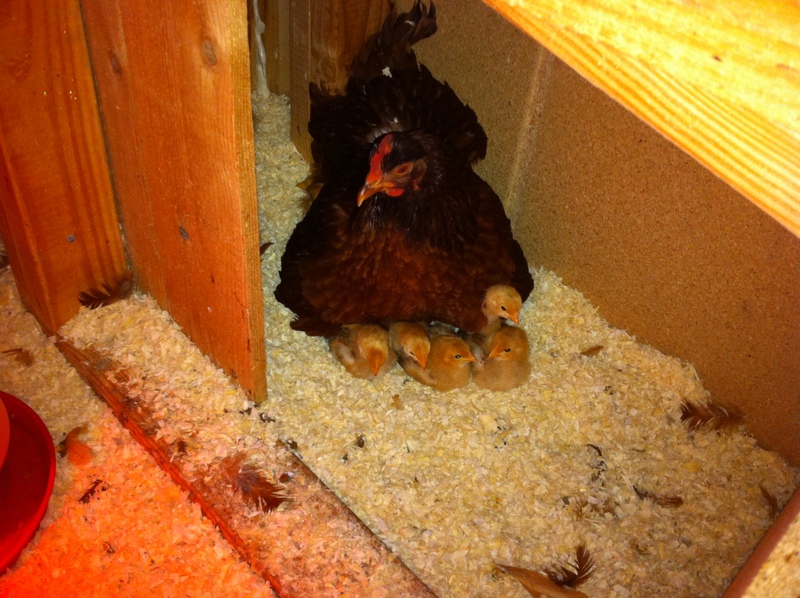 She readily snuggled back down with them when I put her back on the nest, but my fear is that damage has been done. I think it is safe to say that the late, fall weather has arrived! I still find it fascinating when I leave for work and puddles are frozen…then when I return, those puddles are still frozen. 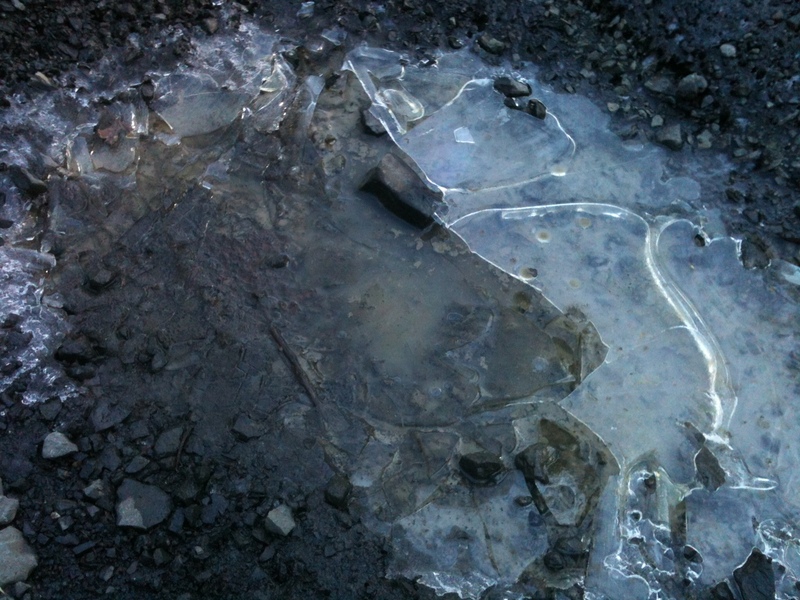 Two days later, still frozen…obviously these puddles are shaded throughout most of the day, but I’m still amazed. 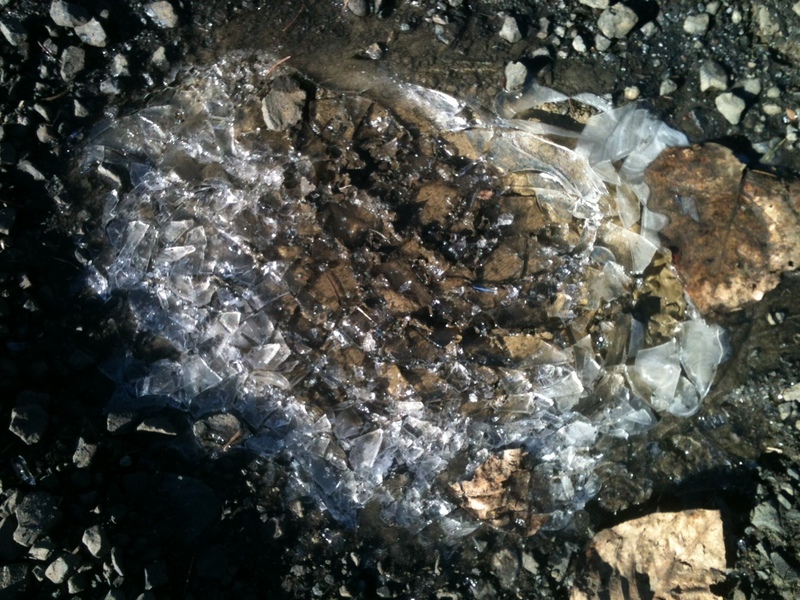 In the Bay Area, it is a rare event when it gets cold enough to freeze a puddle, and even more rare for it to stay frozen the length of a day. I don’t think the beauty that the cold brings will ever get old for me. Since we now live at a higher elevation in the foothills surrounding our town, our temps can be 5 – 10 degrees different than what the phone weather apps, like the one above, display. Sometimes I will call down to my Mom who lives in town when it is snowing…we may be getting a bunch, while in town it is more of a slushy rain. This puddle stayed frozen for 3 days. Mostly or partially frozen for 3 days. 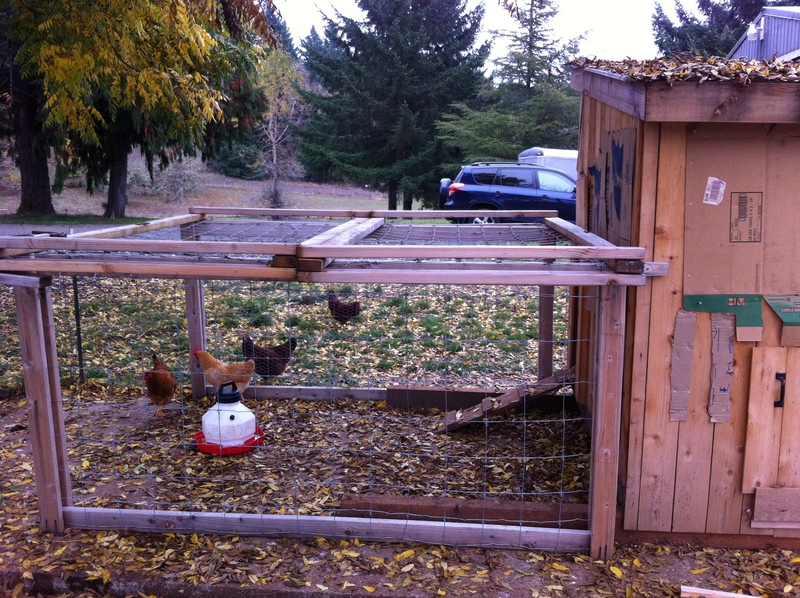 With the onset of the colder weather, my thoughts ran to the chickens. I know they wear their own down filled “jacket”, but I worried that their house wasn’t going to be warm enough through the night. We still had some issues with drafts, which, I have learned through my blogger friends of whom I hang on their experienced wisdom, is bad, bad, bad for chickens. That first cold/rainy/windy night about 3 weeks ago, I kept waking up thinking about my freezing birds. I apologized to them as they stepped out onto the wet ground of the morning, fluffing their feathers and cackling at me (do chickens swear, cause I’m sure they were…) Needless to say, when I got home from work, I hopped into action. 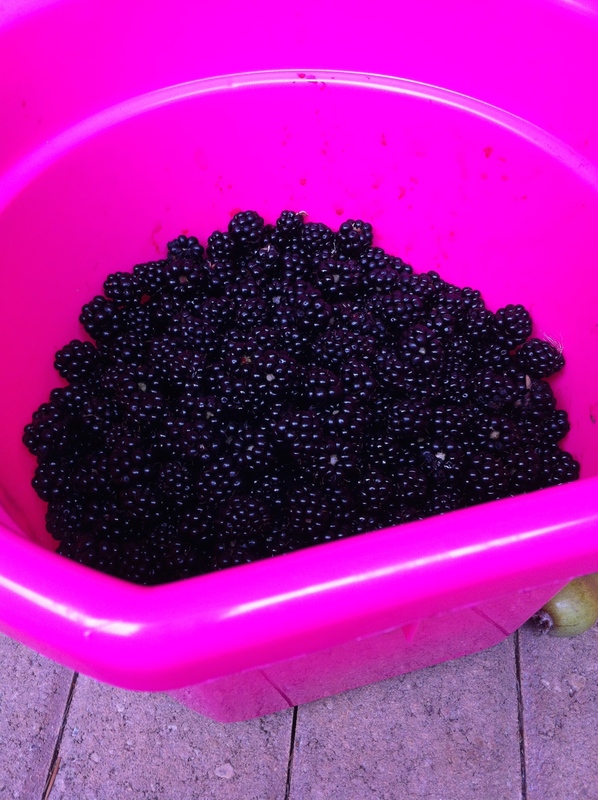 I can’t have a bunch of angry hens and a rooster on my hands…not since they’re producing these….yes, that’s one day’s collection. 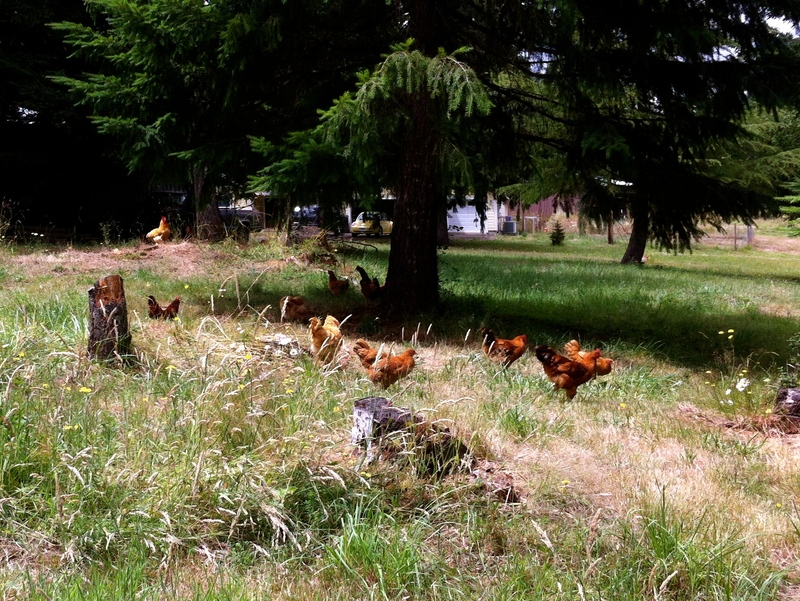 Seven chickens, seven eggs…life is good! 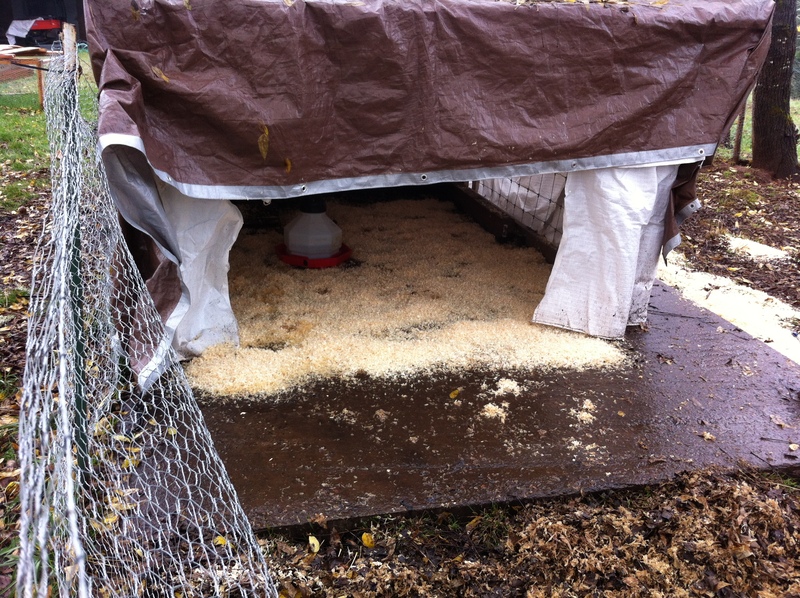 I just really love our chickens, I don’t want to think that they are cold or can’t get out of the rain. 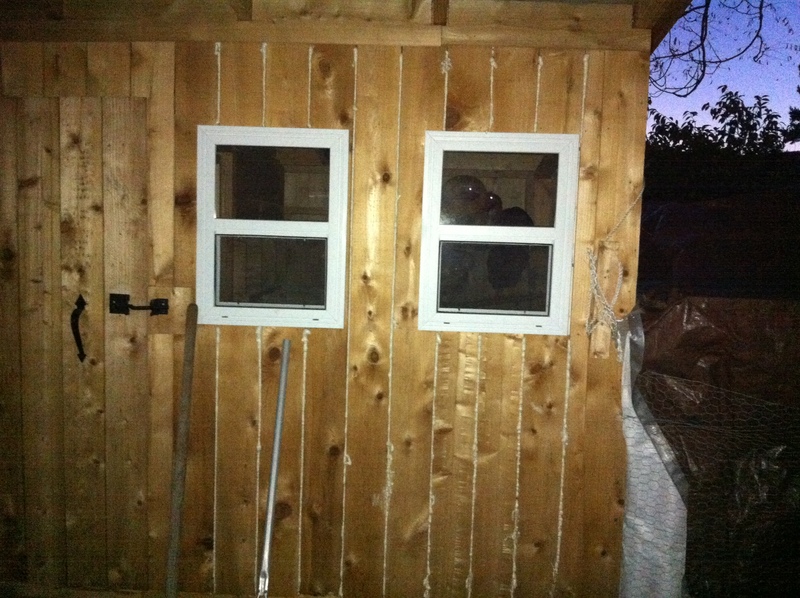 #1 – I decided that they needed a cabana that would give them cover as they stepped out of their house. 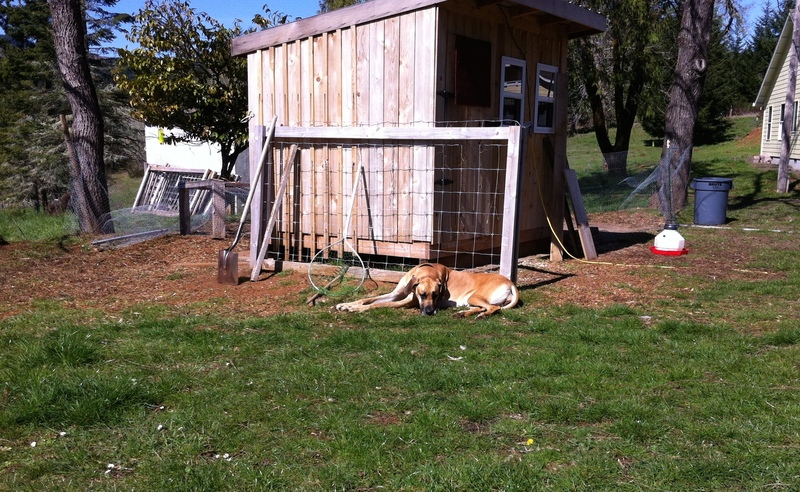 I took the paneled wire fencing from around the garden, and with the help of my son, set up a three sided frame, attaching it to the chicken house for stability. Looks like a good space. 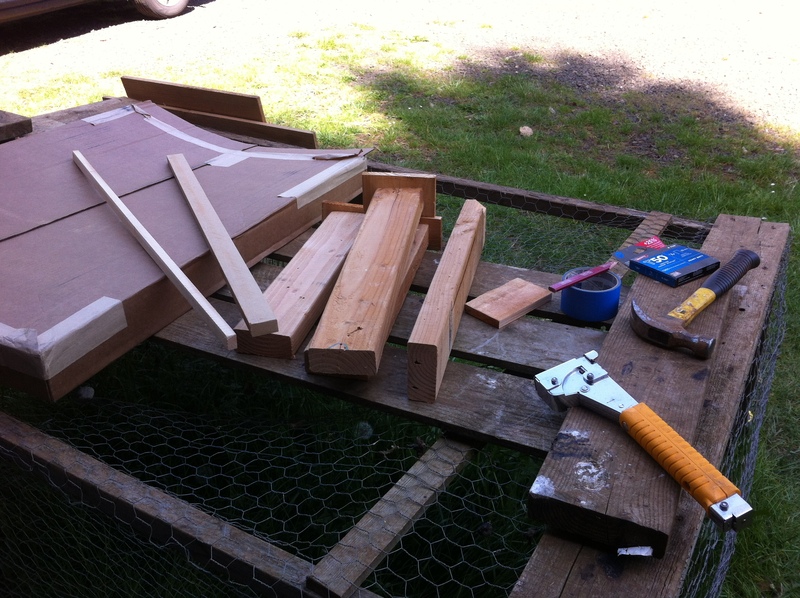 At this point, then, I was alone with the rest of the design and build of the cabana. 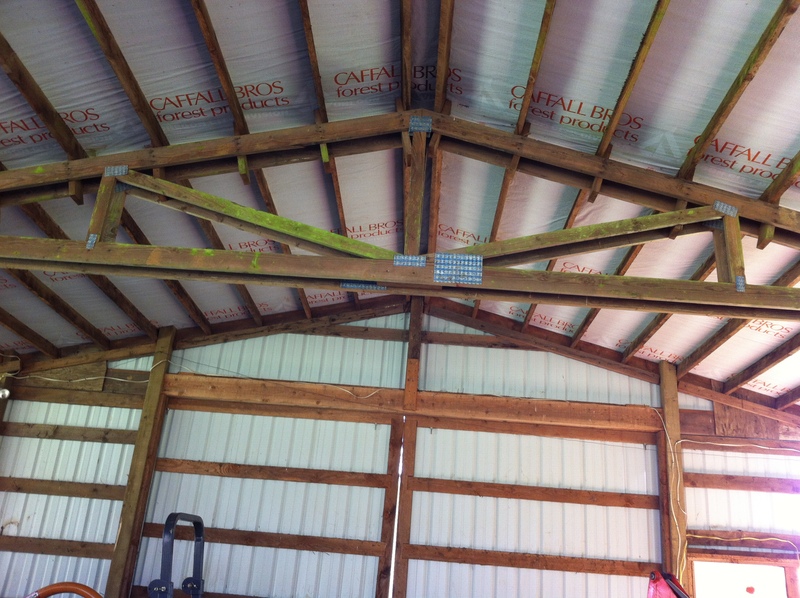 We always seem to have a supply of plastic tarps, so I threw some of these over and attached them to the wood framing with a heavy duty staple hammer. This was the first level of protection against the winds that come over the mountains behind us and funnel through on their way into the valley. 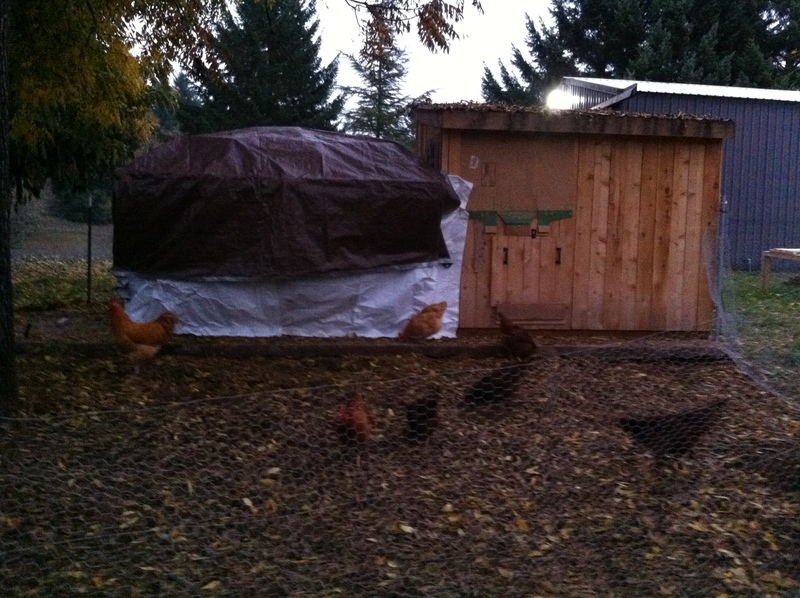 First level of protection, insulating against the wind. It ain’t purty, but it works! I wasn’t about to go through and remove all the staples, so I used Shoe Goo on the seams of the white tarp, and it seems to work just fine. 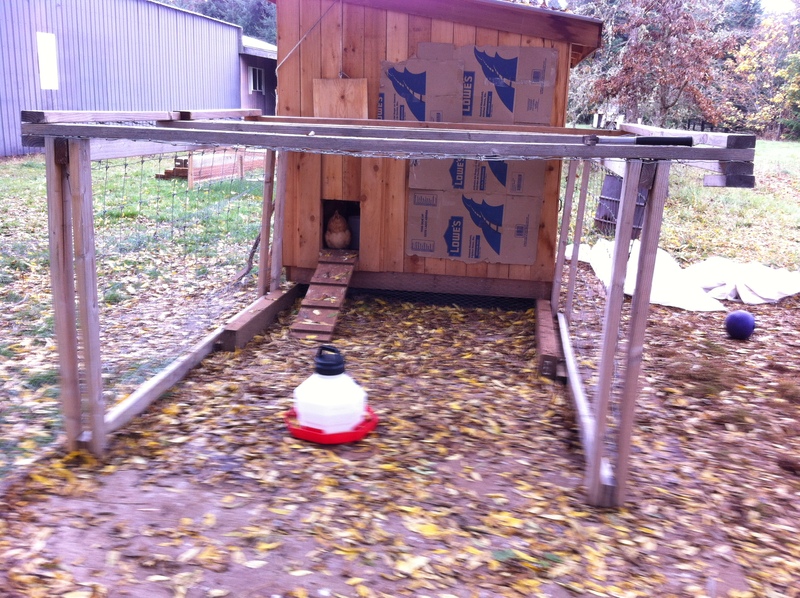 It’s quite cozy, and the chickens really seem to like it. With the addition of a heated water bowl to keep the water from freezing, I think they’re doing pretty well! I’m glad I liked to build forts as a kid…and with my kids when they were younger…I think that helped! 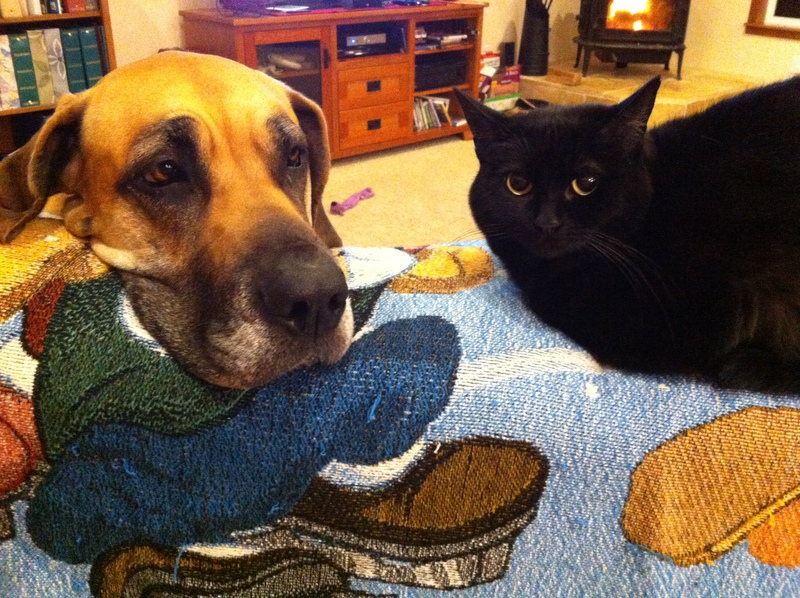 Cozy and dry…that’s their heated water bowl. 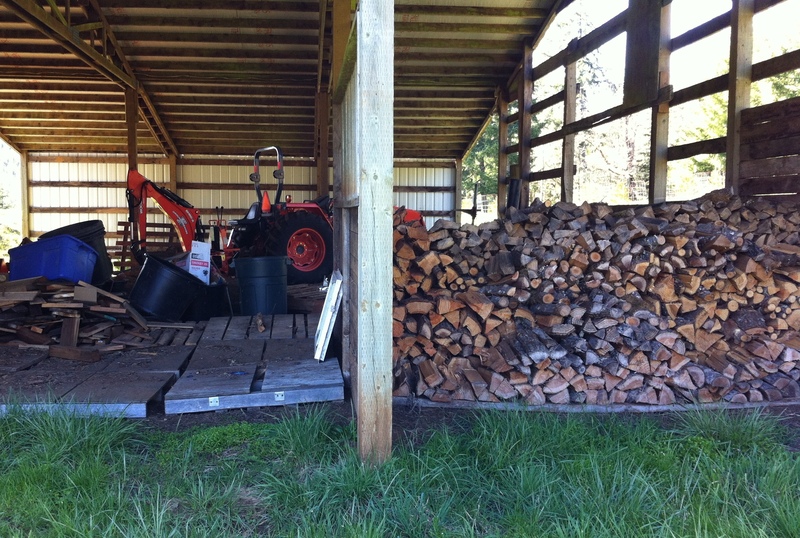 #2 – I needed to fix the drafts and provide some sort of “insulation” since their house had none. 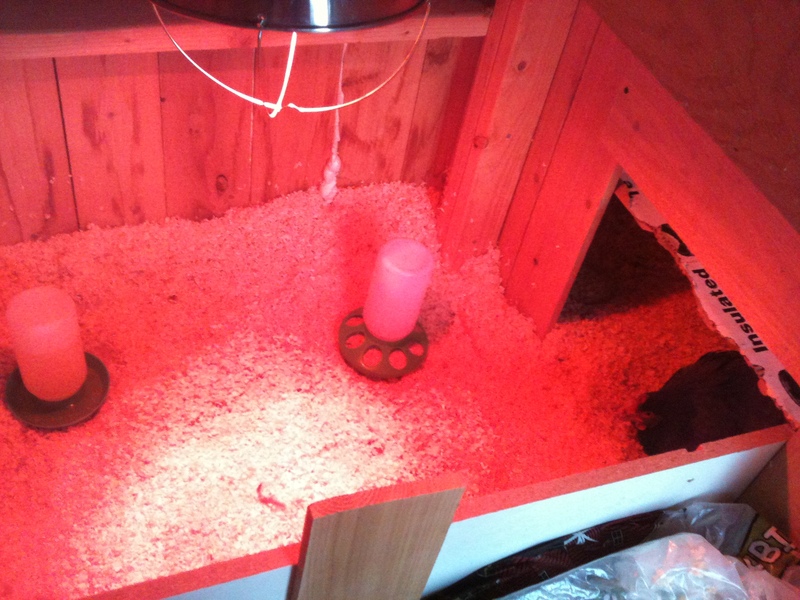 As you can see in the previous pictures, I tacked on some large, flattened, cardboard boxes to add a line of insulation on the outside areas corresponding to their indoor roosting branches. 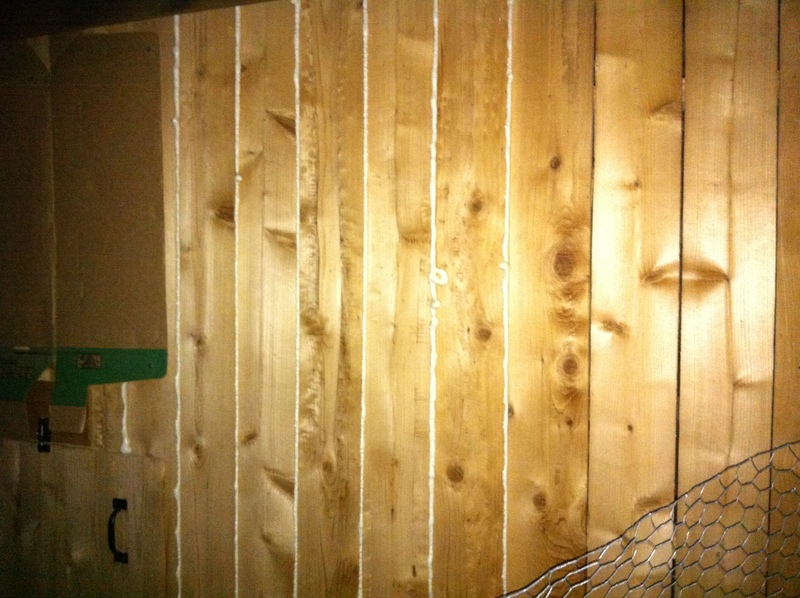 Then hunting around the shop, I found some cans of foam insulation….PERFECT!! Being afraid that the birds might be attracted to the yellow, hardened foam, I insulated from the outside. It’s not that pretty, but it completely cuts that draft from those areas I applied it. Basically, I just followed the gap lines between the boards, trying to keep a straight line..haha. Can you see what’s roosting behind the windows? By the time I finished, it was getting quite dark, but I couldn’t let them go one more night in the cold. The result is that the flock is happy, I’m happy, my dogs are happy because of all the eggs they get to eat…all is well, and I’m not waking up thinking about freezing chickens. 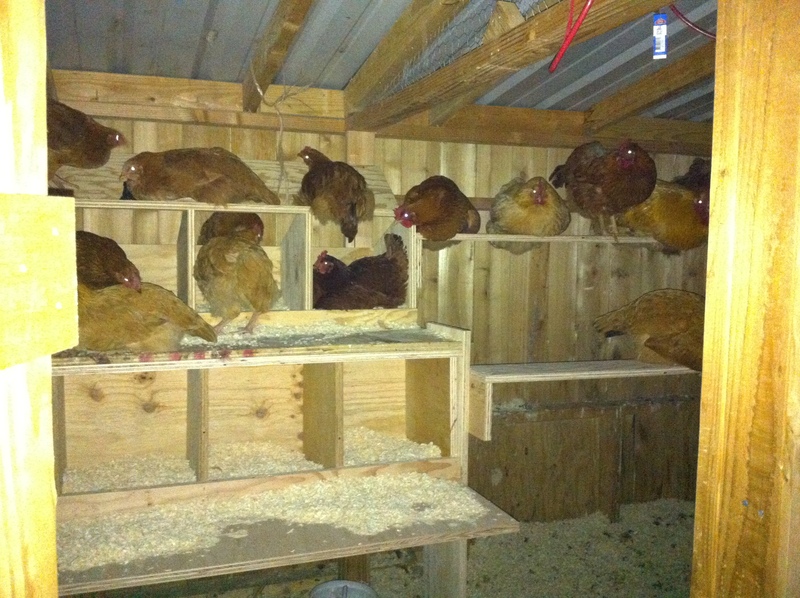 I feel good that our chickens have a dry place to go from the rain. To say that the events of Merlot’s day in September came and went without another thought would be the understatement of the year for our family. We have always done everything within our power to preserve the life of any animal that we have been blessed to care for.The events of Merlot’s September day was something we had prepared for in the physical requirements, but it took a lot to get the ethereal preparations in order…once we got somewhat there…well, that’s yesterday’s story. Our very first egg! Thanks Don Pedro!! These days in September actually began on Sept. 15th. Since then, the flock is at peace, we have gotten five small eggs and Benedict has become the gentleman protector of his flock. 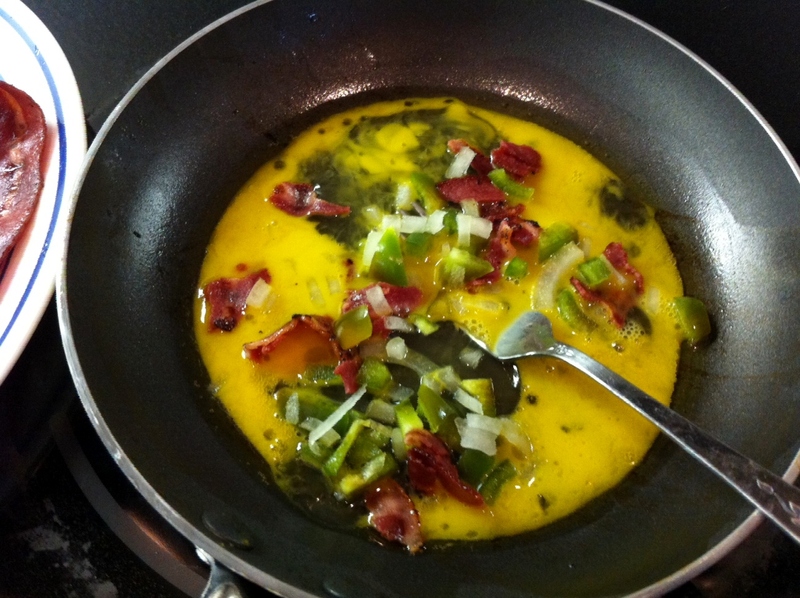 It has taken until today, one week later, for this city-raised-buy-your-eggs-from-the-grocery-store-girl to work up the nerve to cook up our hen’s eggs….and they were delicious!!!! 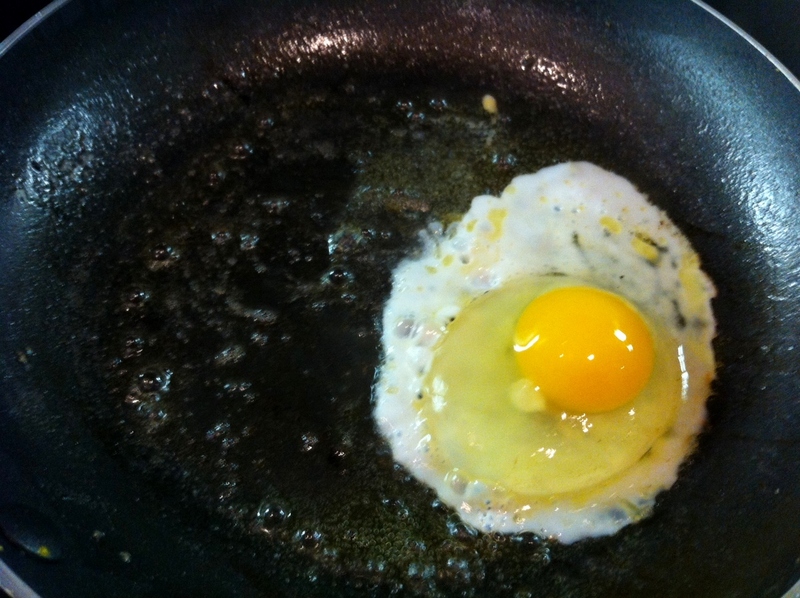 My first home-grown fried egg. These are some delicious little eggs!